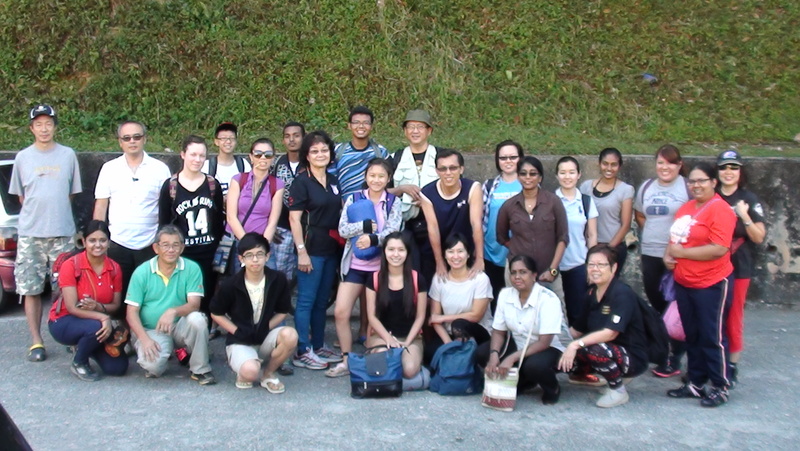 Some of the SOA team members together with volunteers from PJ, visited Kg Sg Karah and Kg Air Bah Lawin in Gerik on 19th December 2015. 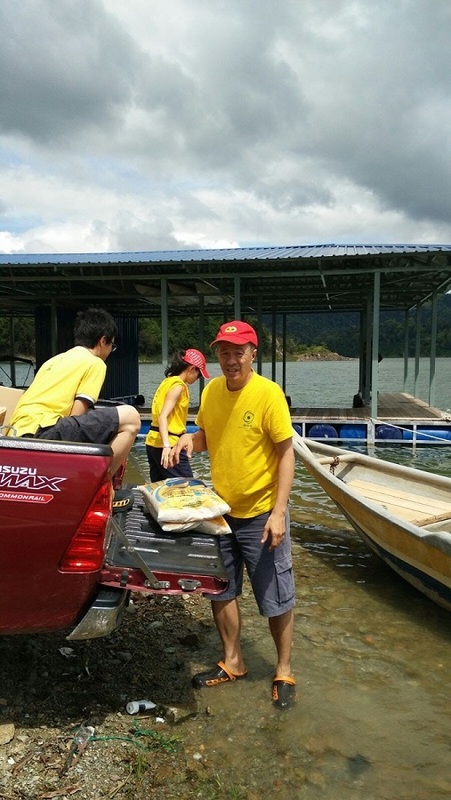 Some food provisions were sent to the community hall. 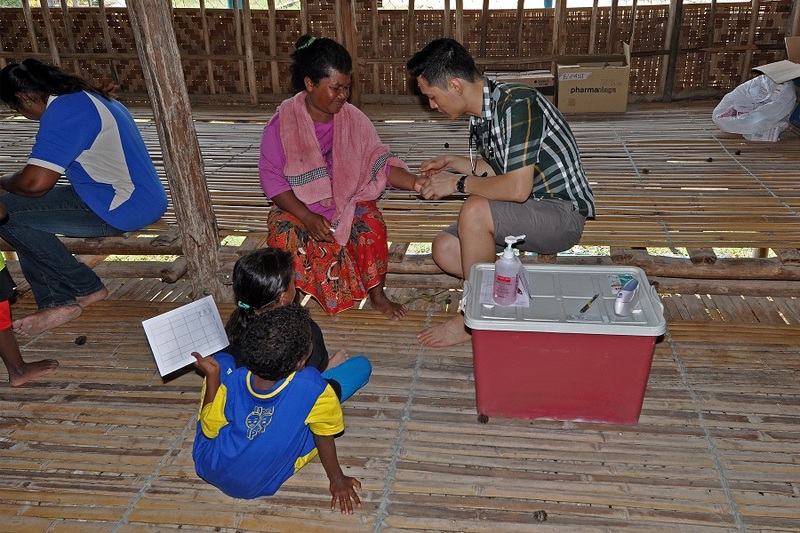 The team informed the village's Tok Batin to get the villagers prepared for the medical camp which the SOA team with volunteer doctors and team from Fatimah hospital would be holding on 9th Jan 2016. 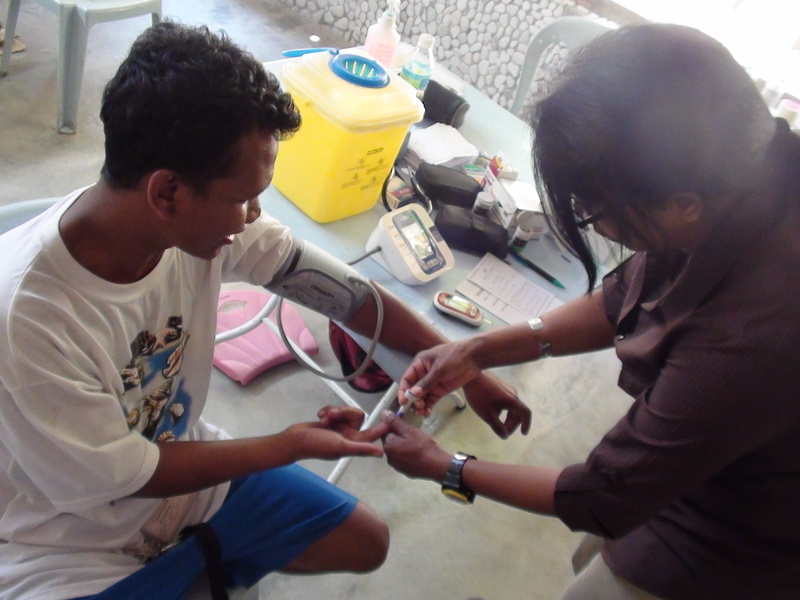 The PHDC organised a blood donation drive on 29th Nov 2015, from 9.00 a.m. to 1.30p.m. This was followed immediately by the Parish Assembly in the PAC hall. All parish ministries have been asked to undertake spiritual or corporal works of mercy in line with the launch of the Extraordinary Year of Mercy. Ministry plans are to be submitted to PAT members in the prescribed forms by 12th January 2016. 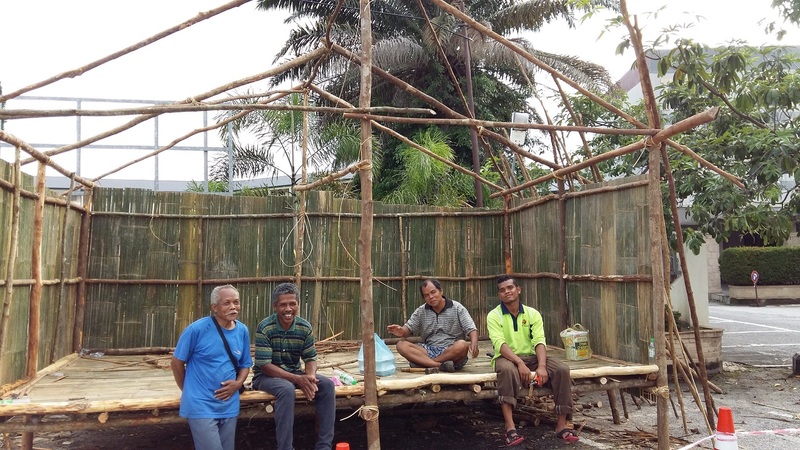 Our parish was fortunate this year, to receive the gift of a genuine orang asli house which will be used as our outdoor Nativity crib this year. 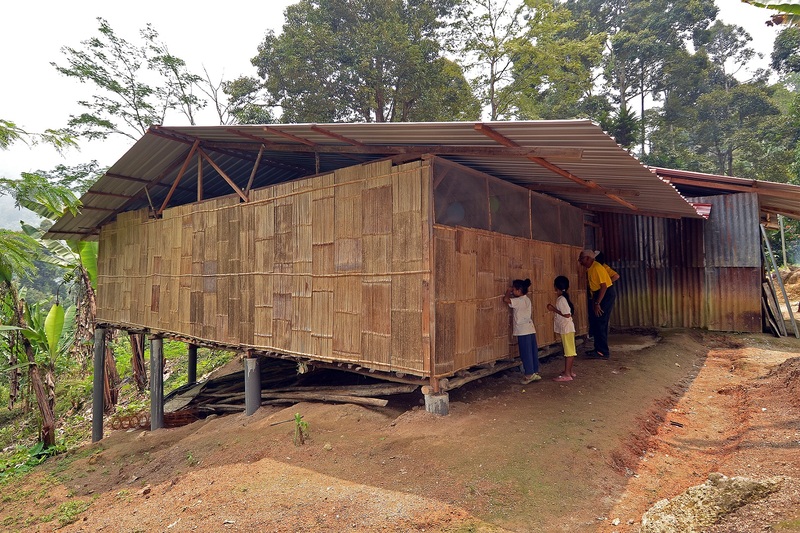 The materials for the house were supplied by our orang asli friends from Kg Sekam,Tapah and constructed by four orang asli, who were housed in our parish's guest house for about a week. 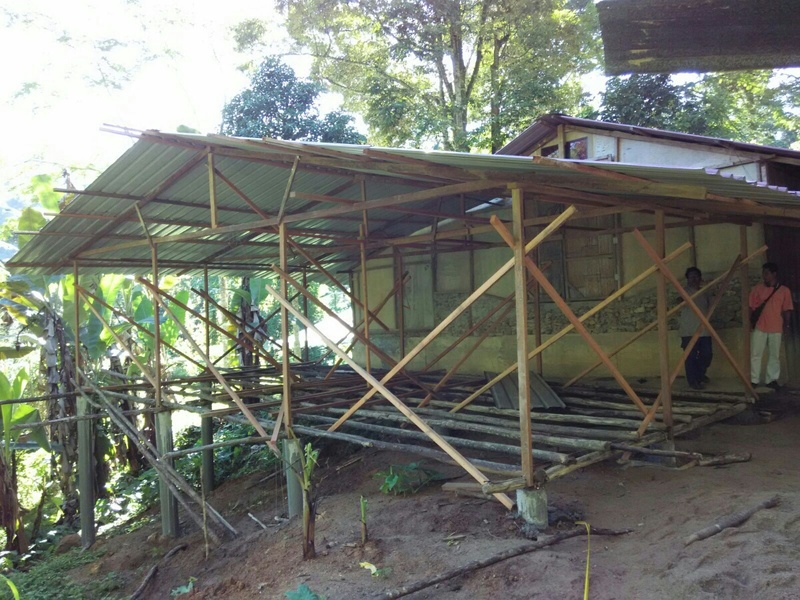 Actual construction of the external crib only took about 3 days, a great testament to the building skills of our orang asli friends! 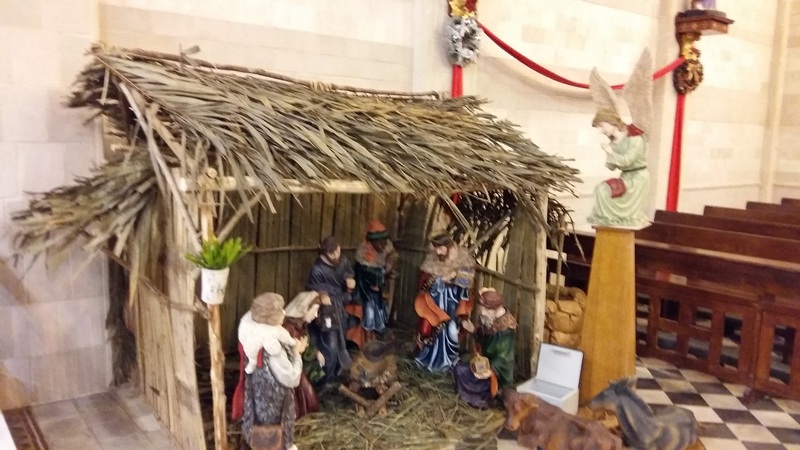 They also constructed a smaller version of the crib inside the church. The crib already drew in admiring visitors from the shopping centre and hotel across the road from our church within days of its construction. 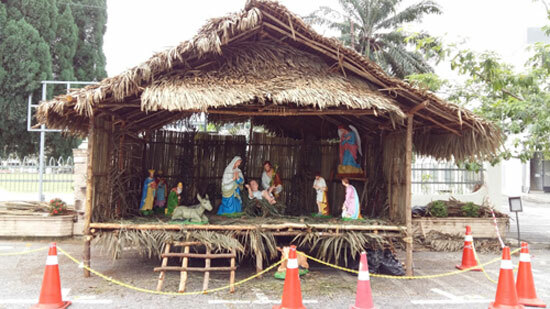 We thank our orang asli friends for these two beautifully constructed gifts which will be much appreciated by all parishioners and visitors alike throughout this season. 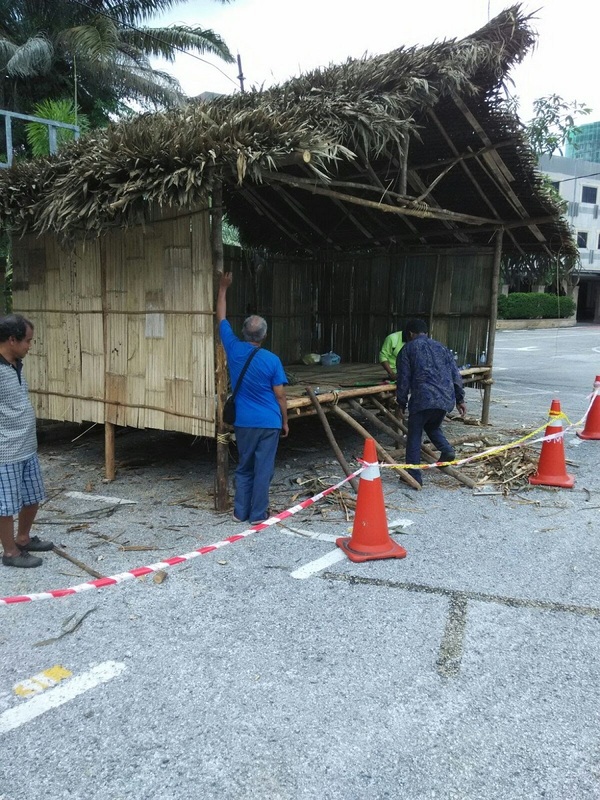 The SOA survey and mobilisation team have begun flood relief works for orang asli villages affected by the floods. 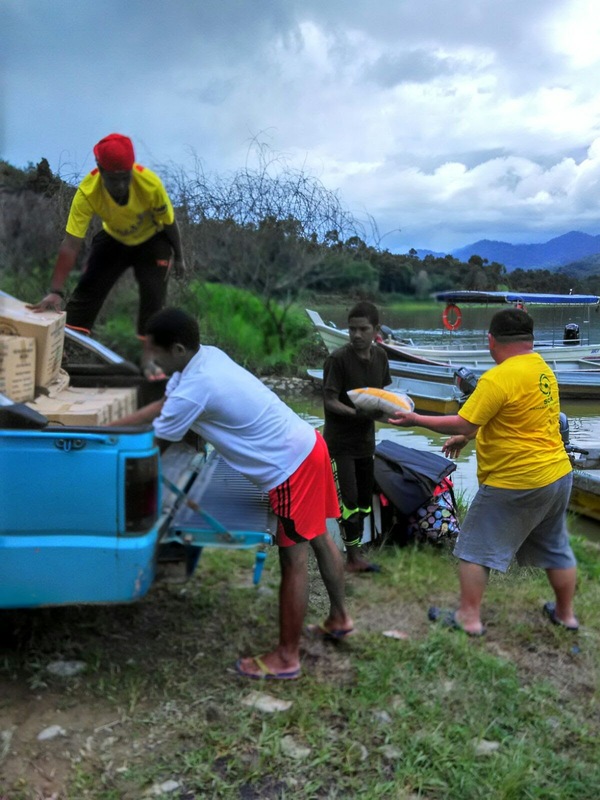 Fortified rice packs and regular white rice was delivered to affected villages in Pos Kemar,Gerik on 21st and 22d November 2015. 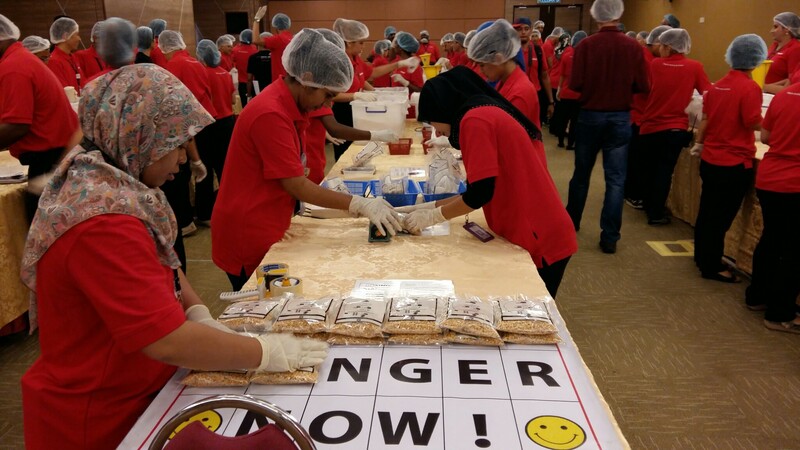 On another note, the SOA team gratefully accepted another donation of "Stop Hunger Now" fortified rice equivalent to 25,000 meals, sponsored by HSBC Group, from its Cyberjaya office. 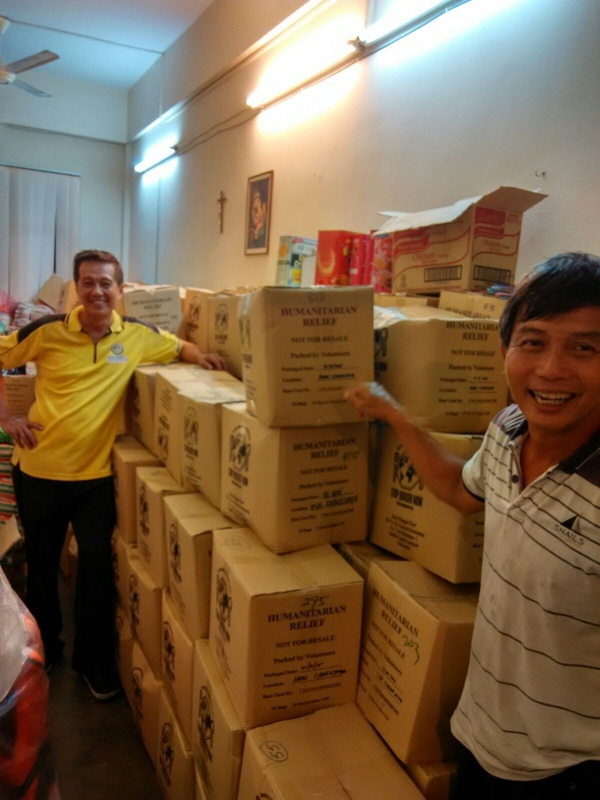 After some mechanical hiccups with the delivery, the fortified rice was safely received and stored in the SOA storage room. 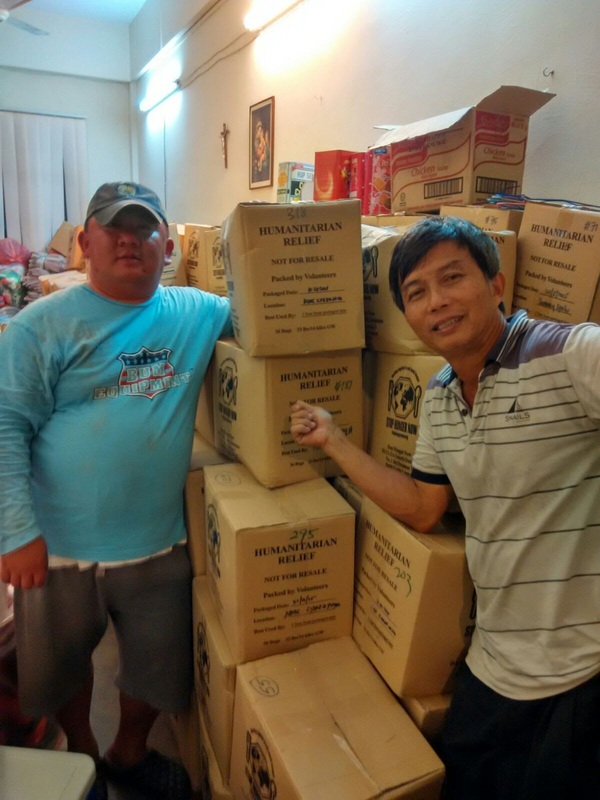 The team also wish to thank all donors from our parish, Fr Robert Daniel and parishioners of Our Lady of Lourdes church-Ipoh, for their generous donations of rice and other foodstuff throughout the year. 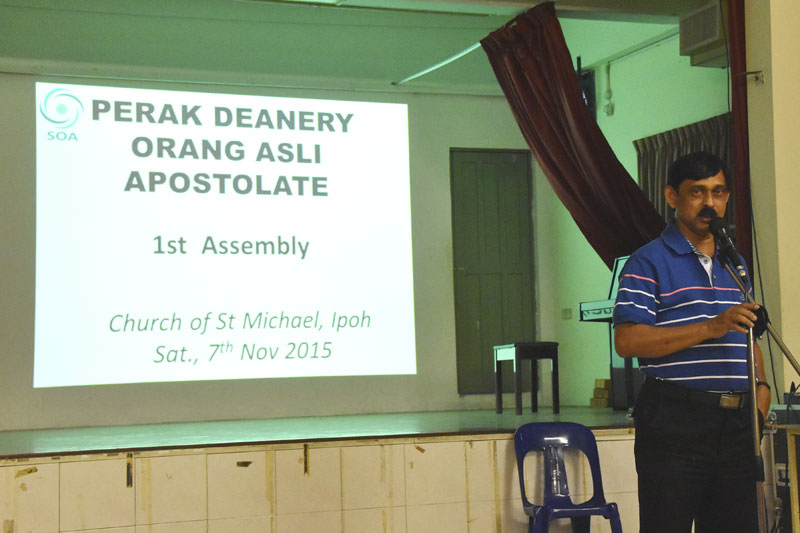 The first assembly of the Perak Deanery Orang Asli Apostolate was held at our PAC hall on 7th November 2015. 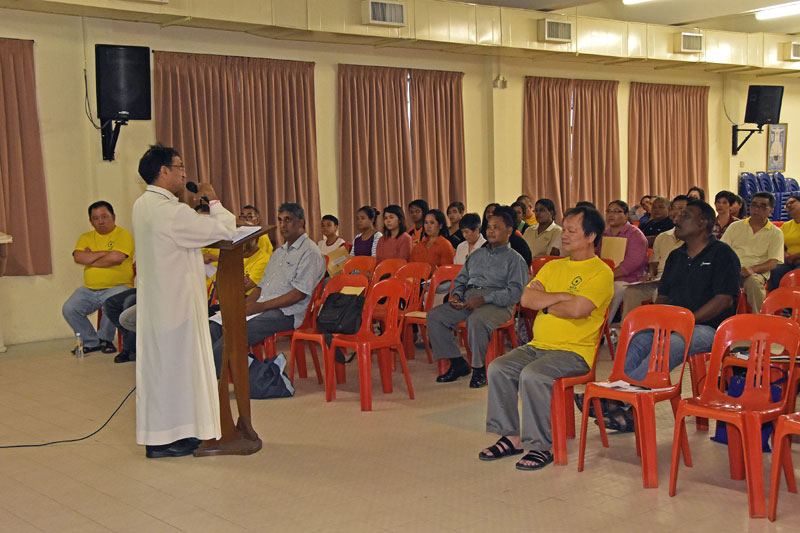 The programme started with a simple lunch and was very well attended by Bishop Sebastian,eight other priests from Perak deanery (Fr Stephen Liew, Fr Michael Dass, Fr Aloysius Tan, Fr David Lourdes,Fr Anthony Pillai, Fr Andrew Steven, Fr Simon Anand, Fr Robert Daniel) and Fr Stanley from College General. In attendance were representatives from 10 parishes. We were pleased to see many orang asli among the representatives. 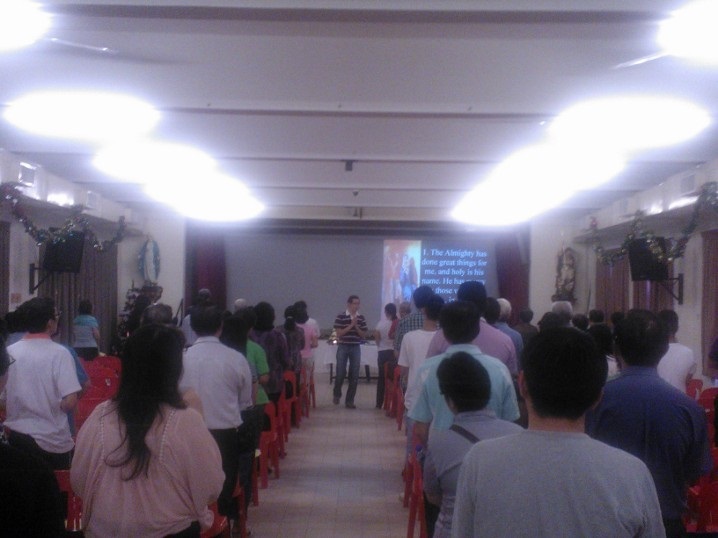 Our parish Sahabat Orang Asli project chairman, Mr Francis Fernandes, started the event with a prayer and a hymn. 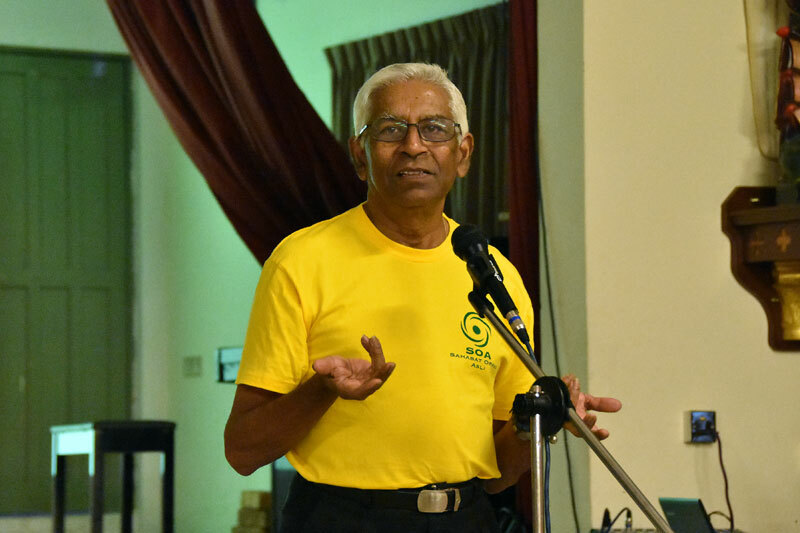 Bishop Sebastian was on hand to give the opening speech to all participants. 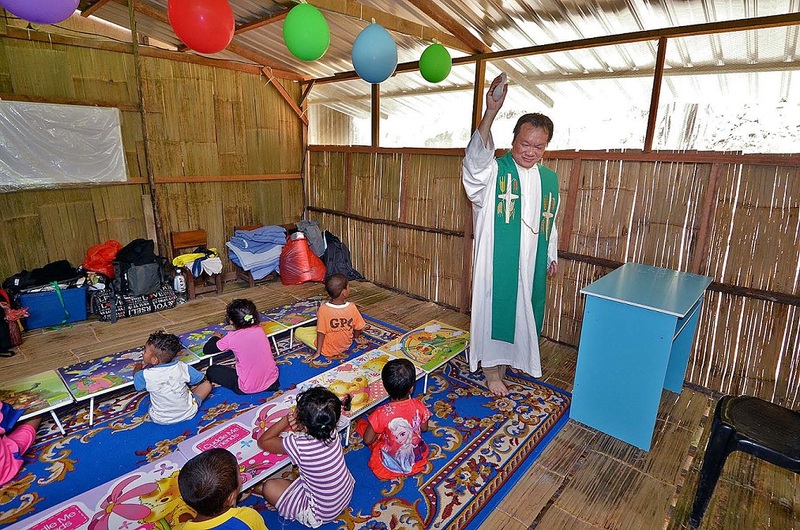 He welcomed all participants and spoke about the diocese wanting to start a hostel to ease the burden of orang asli children schooling in Langkap. 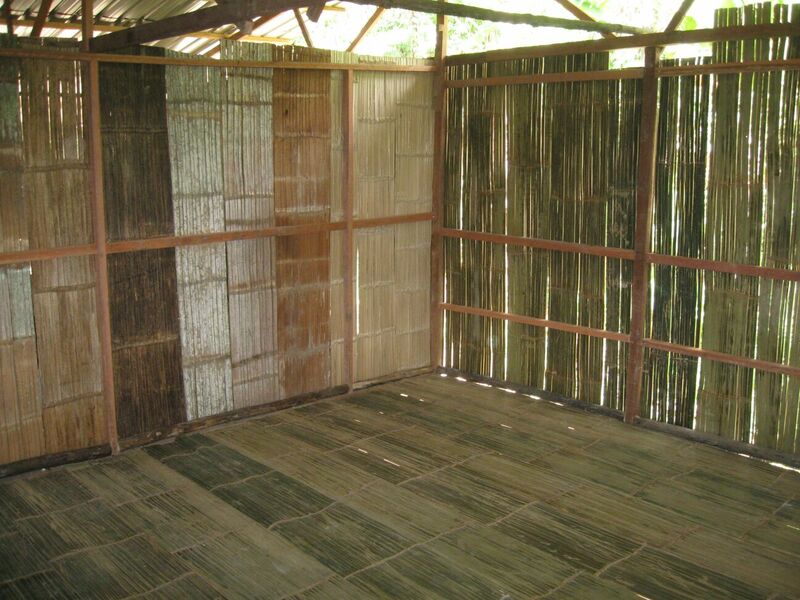 He advised all participants to emulate the fine traits of the Orang Asli such as simplicity,truthfulness and their overwhelming respect for nature. 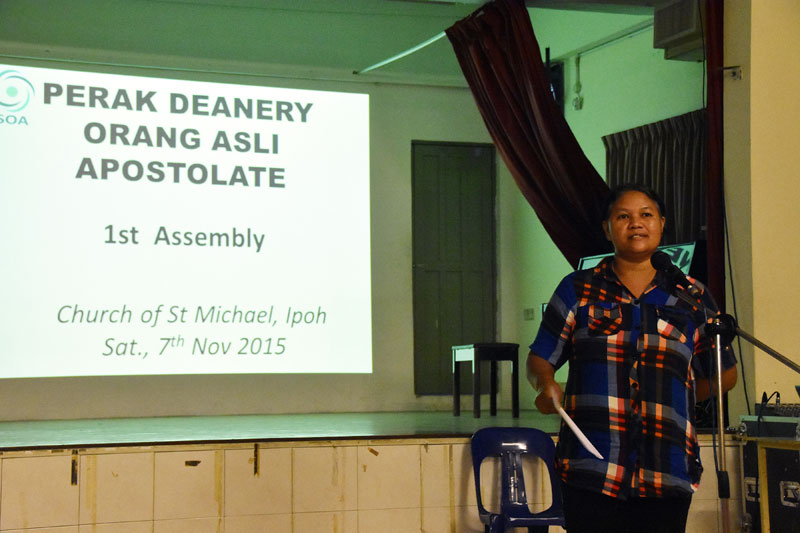 Upon registration,every participant was given a file containing the programme for the day, a summary of the SOA slide presentation, the proposed organisational structure for the apostolate and the model organisational structure for a parish orang asli committee, two volunteers' forms and stationery for writing. 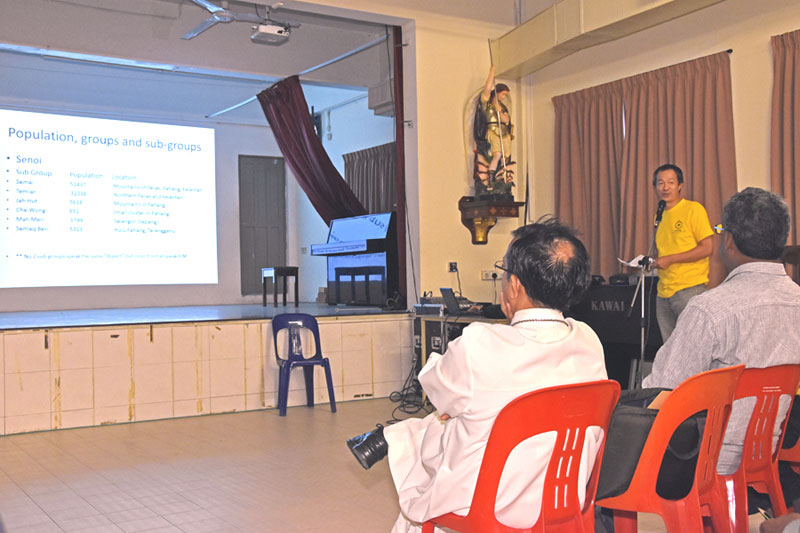 Our SOA Survey and Mobilisation team leader, Mr Hubert Thong gave a short presentation about the statistical breakdown of the orang asli in Peninsular Malaysia and why as Christians, we cannot just turn a blind eye to the plight of our orang asli brethren. Their habitat is constantly being destroyed and they have been forcibly relocated from their ancestral lands in some cases. Hence their source of food and income has become increasingly scarce. 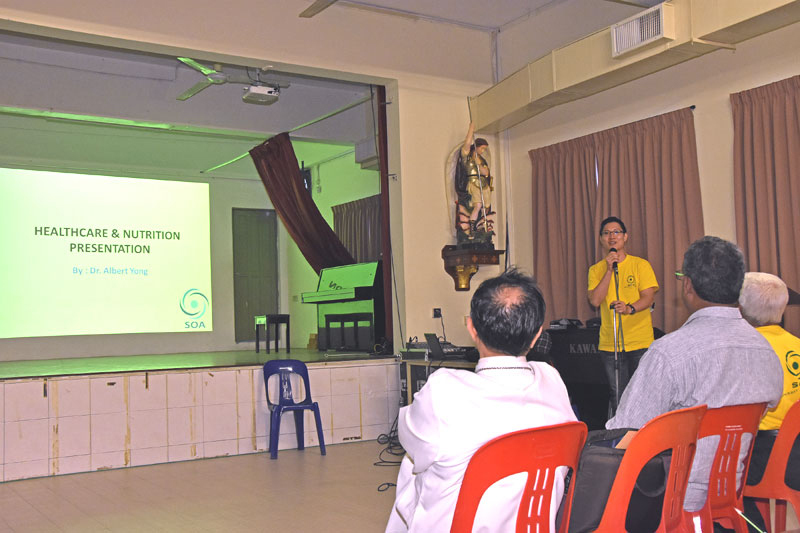 Our SOA Healthcare and Nutrition team leader, Dr Albert Yong then gave a presentation about how all these practices have led to severe malnutrition, resulting in extremely high child death rates among some of the orang asli population. A short presentation summarising the history and work done by our own parish SOA team was then presented to the audience. This was followed by a sharing session by all the participants. 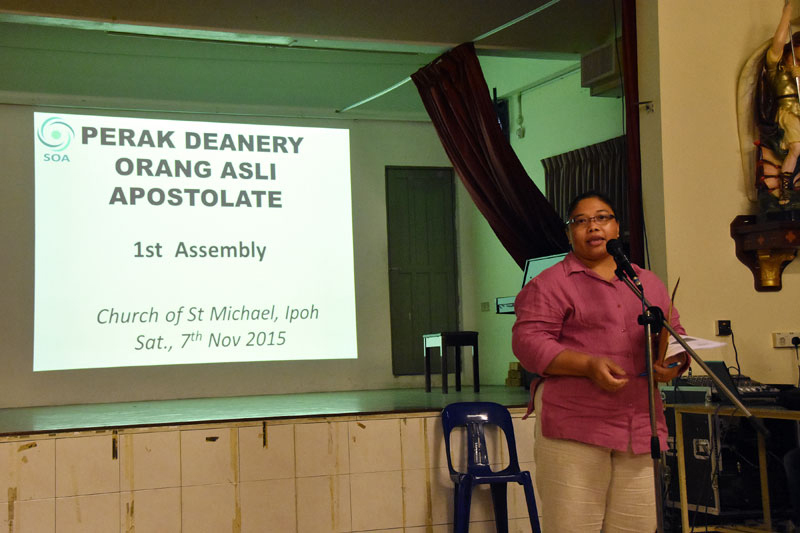 The session helped the apostolate glean more information about what the parishes with existing orang asli congregations were presently doing for the orang asli and what were the problems encountered by them. 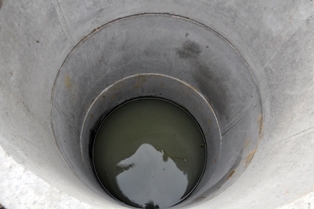 Transportation, basic infrastructure like toilets and the need for medical attention appear to be some of the problems faced by the smaller parishes. 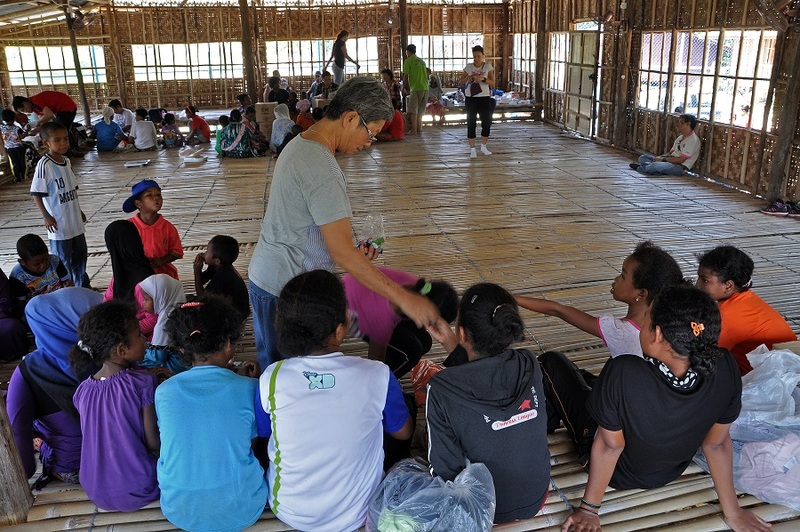 Sister Amy now based at Kampar church, was the first to share about some of the activities currently being undertaken by the church for orang asli communities in their surrounding area. 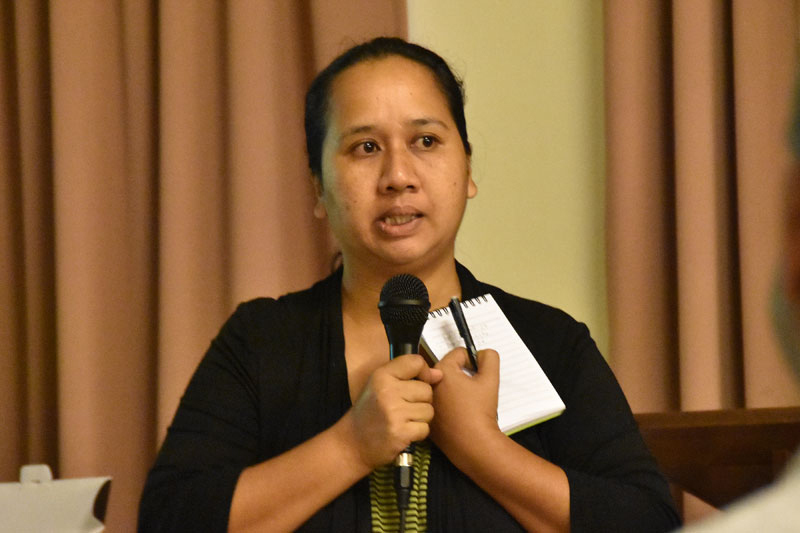 One participant, Irene who herself is orang asli, called on all the orang asli present to spread the word to their kampungs, about the apostolate and about the shocking problems faced by their people in some other areas. She also asked all orang asli present to be strong and strive to be independent. Another orang asli participant also mentioned that the orang asli community should also not just accept help from other communities, but should constantly have awareness and educate themselves so that they will be empowered to improve their own lives. Another participant, Karim also voiced out that the orang asli in areas like Bidor,Kampar and Tapah were not so badly off compared to some in the worser areas of Gerik. 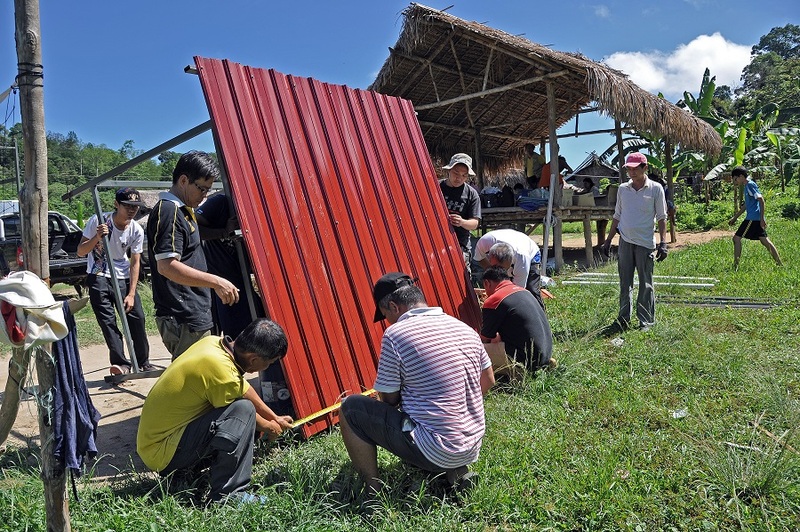 All the participants also agreed that the orang asli who are better off must be involved in aiding their fellow orang asli who were in need. 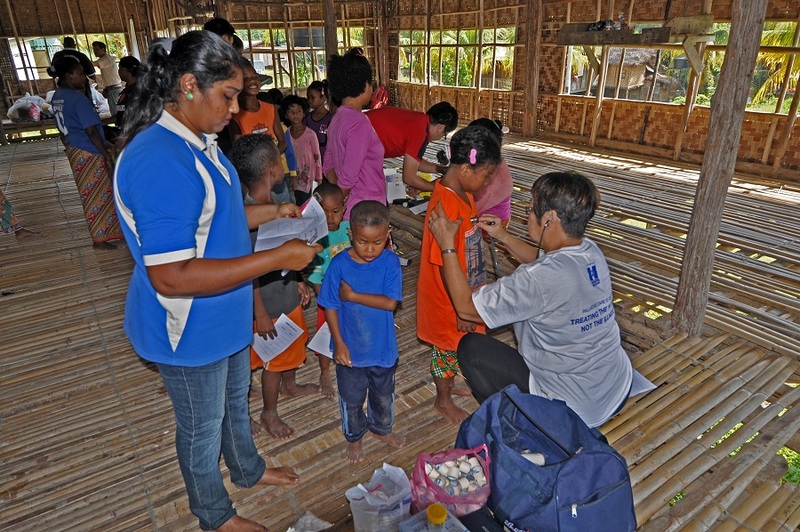 The Perak Deanery Orang Asli Apostolate (PDOAA) committee is formed to provide aid to the orang asli, not to convert them or change their traditional practices. 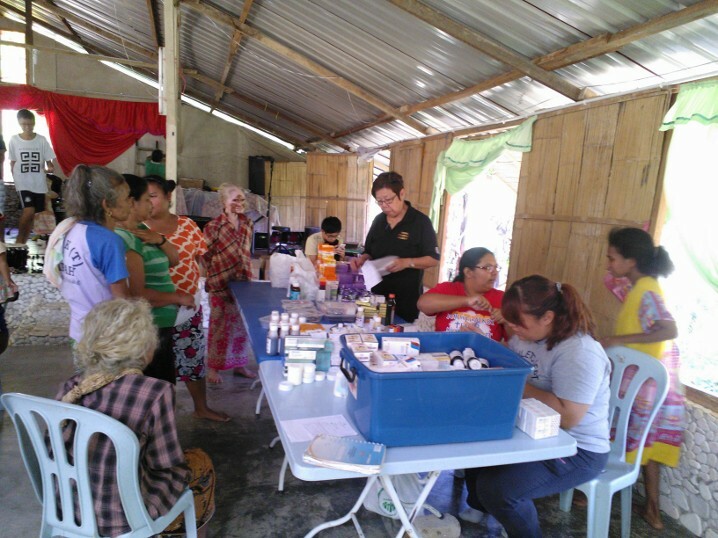 However to provide useful aid, as pointed out by SMC SOA team member David, sufficient correct information must first be obtained from the communities and the parishes involved can help to obtain these useful information. 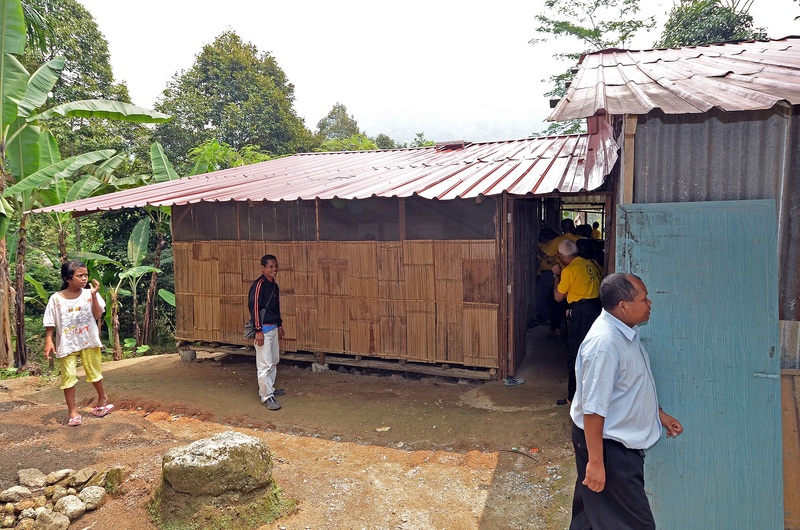 The existing Perak parishes will also continue to administer to their respective orang asli communities without any interference from the PDOAA. 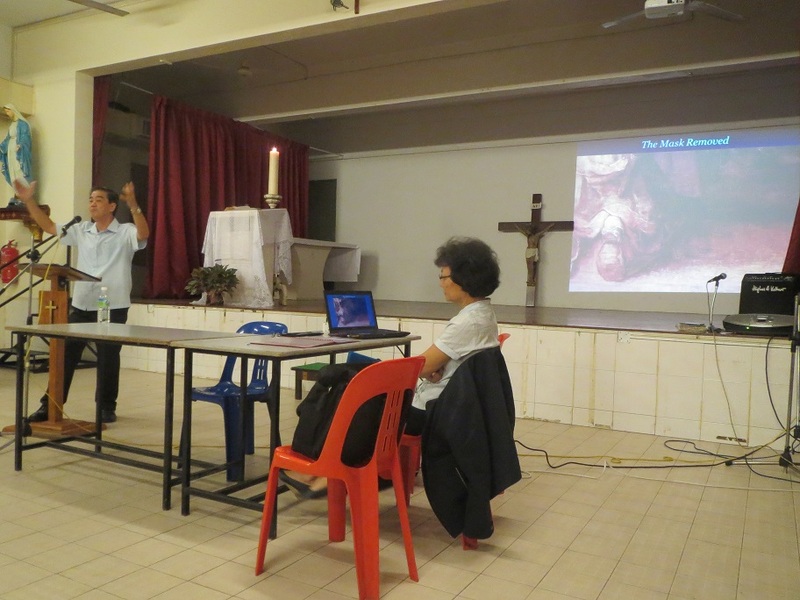 Fr Stephen Liew then presented the parishes with the model Sahabat Orang Asli parish committee structure currently being used in St Michael's church. 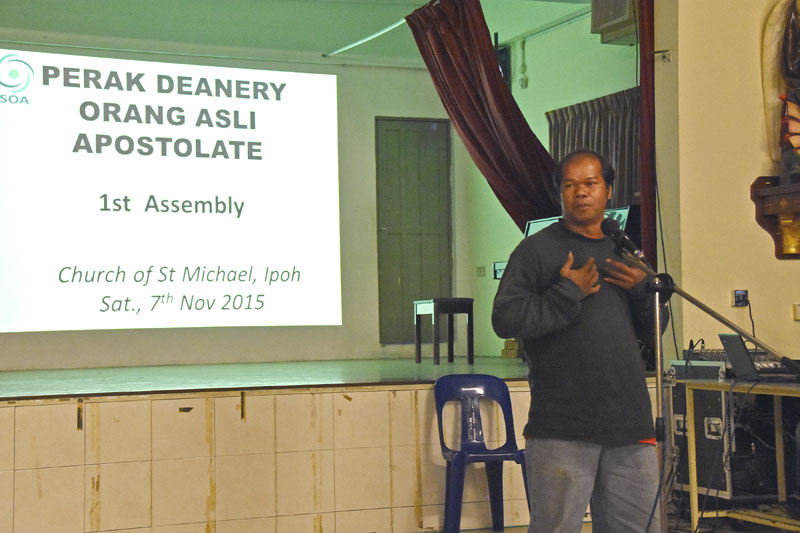 Parishes administering to orang asli communities may use the model adopted by SMC for their own parish committee. 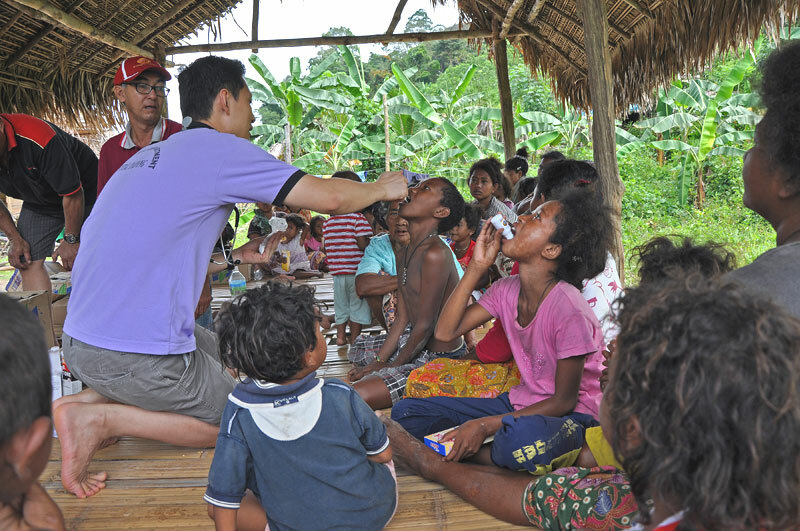 Fr Liew invited teams from parishes without orang asli communities such as OMPH and OLOL, to join the SMC SOA team in their outreach work instead. He then presented the organisational structure of the PDOAA. 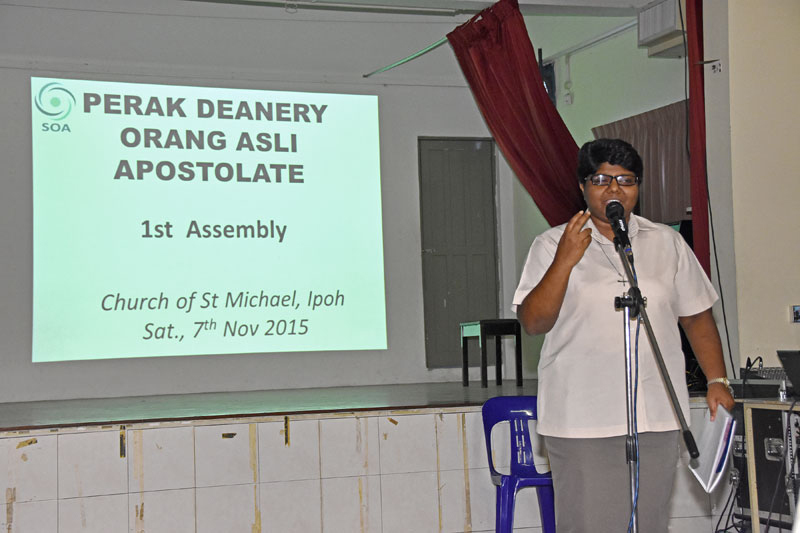 Each parish in the Perak deanery is invited to send at least two representatives to be part of the PDOAA committee. This committee will co-ordinate and assist in inter-parish co-operation for all matters pertaining to orang asli welfare. The committee comprising the representatives from all the said parishes, is expected to meet sometime before 15th March 2016. SOA chairman then invited the two orang asli youth from Kg Sekam who had recently graduated from teachers' training at Mariaville Kindergarten, to address the audience. 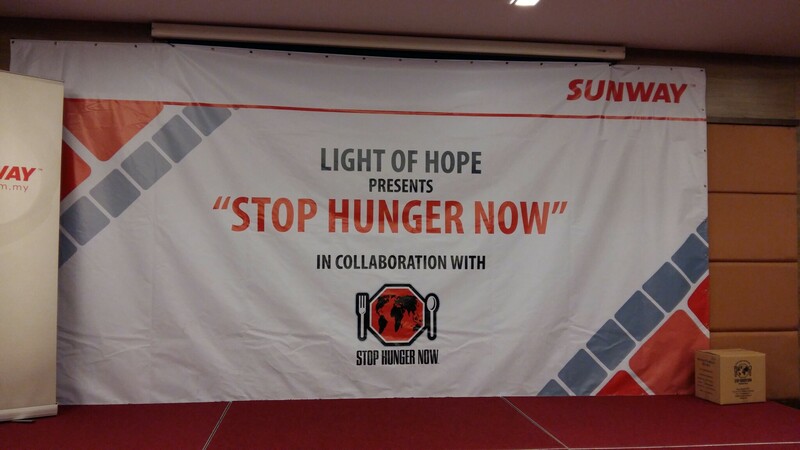 The session then ended with some tea and participants were invited to sample some "fortified rice" from Stop Hunger Now organisation sponsored by the Sunway Group. 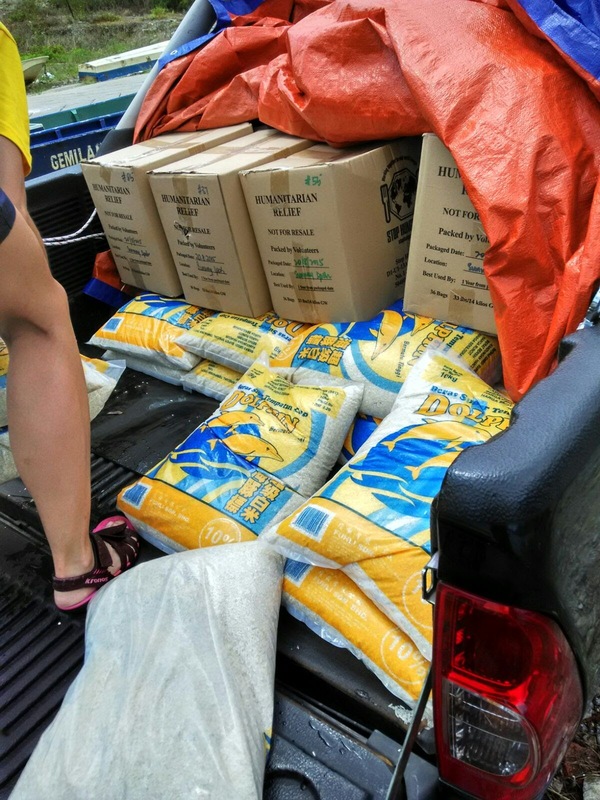 This fortified rice has been distributed since last year, by the SOA team, to various orang asli communities as emergency food aid. 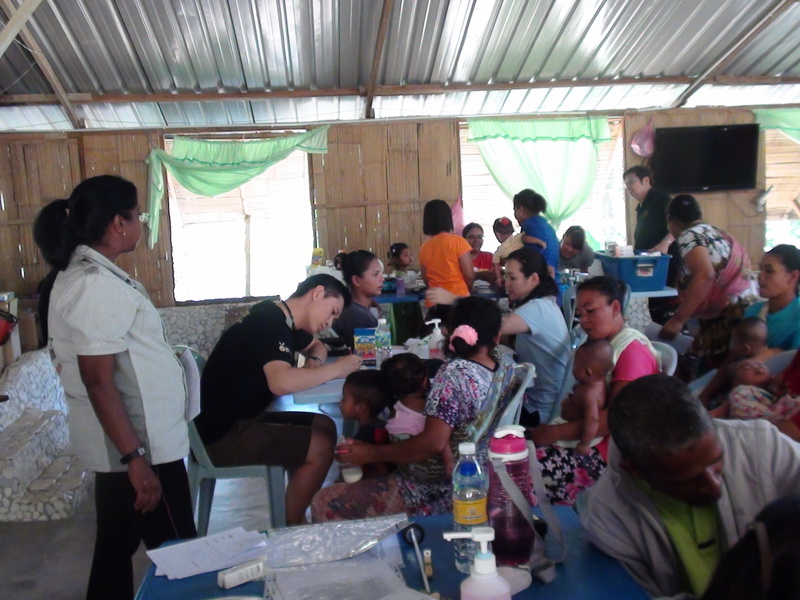 The SOA team conducted a medical camp at Kg Sekam on 31st Oct 2015. It was encouraging to see improvements in the health of the children. On another note, the two youth, Molly and Wassa, from Kg Sekam have graduated from teachers' training with Mariaville kindergarten and will be returning to the village this November 8th, 2015. 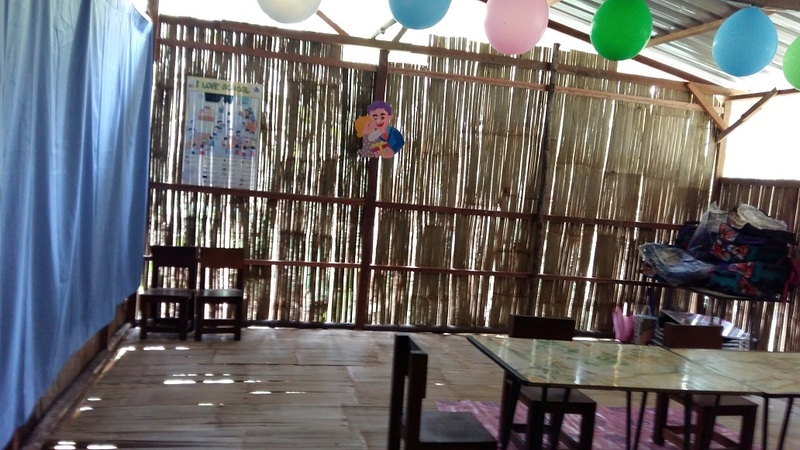 They will begin teaching the pre-school children at the newly constructed learning centre in Kg Sekam before the school term begins.Congratulations to Molly and Wassa and may God bless them abundantly in their new roles within the community! The SOA team together with volunteers and friends from Mariaville kindergarten and Taiping made a trip to Kg Sekam,Tapah on the first day of Hari Raya Haji. 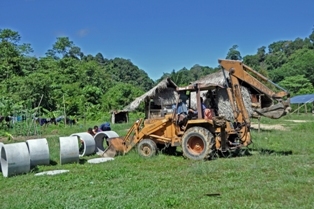 Soursop and durian plants for fruit cultivation and books for orang asli children were also brought up to the village. 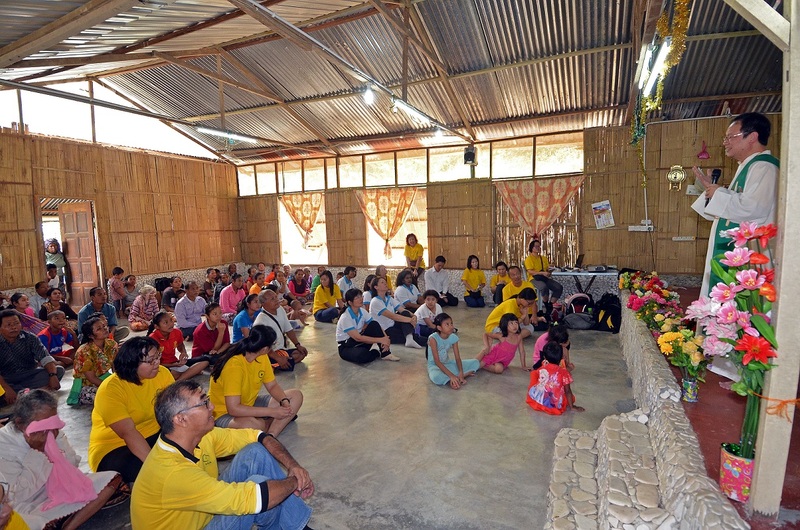 The programme for the day started with a Catholic mass in Bahasa Malaysia at the village chapel, followed by the blessing of the learning centre and a kenduri. 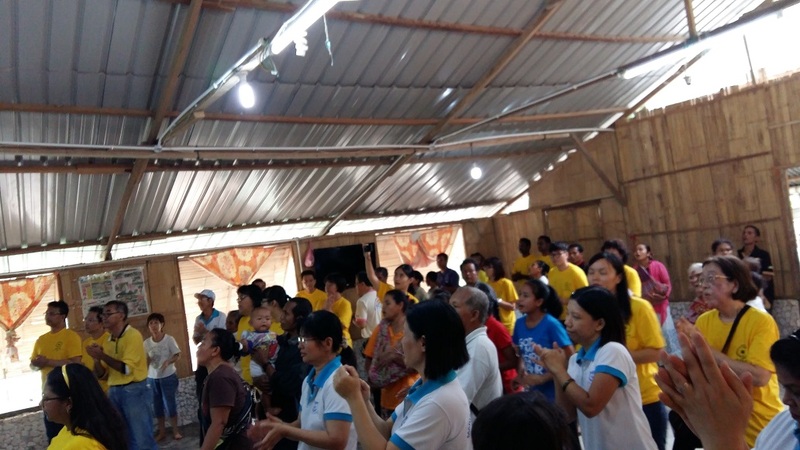 The villagers started with a praise session in accordance with their charismatic style of worship, before Fr Stephen Liew commenced the mass. A collection was also taken up during the mass among the SOA team and friends, which was later presented to the village. 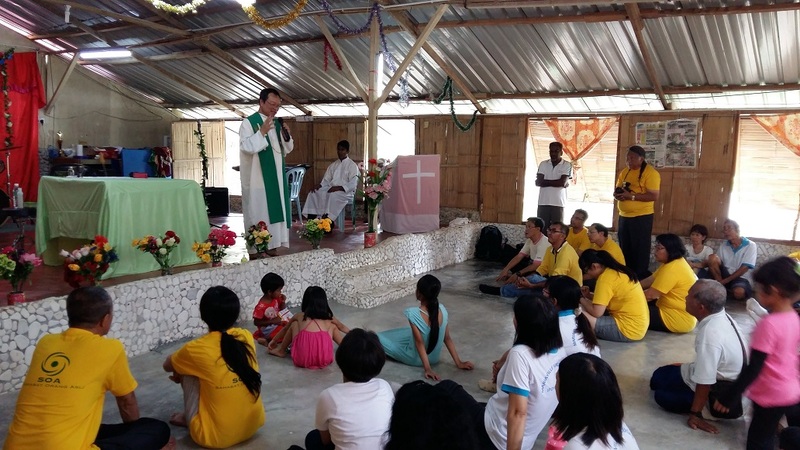 Fr Liew then blessed the new centre lovingly built by the villagers, with support and contributions from donors of St Michael's church. 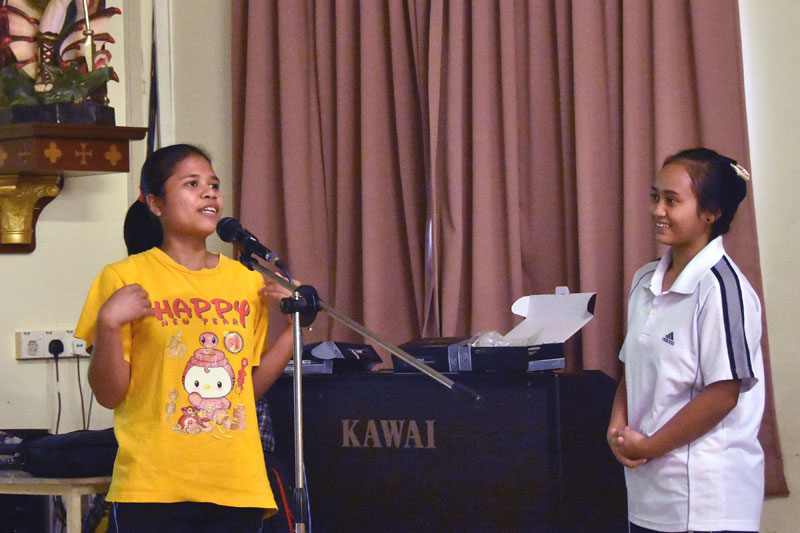 The two young orang asli ladies trained by Mariaville were also present for this happy occassion. It meant a lot to the SOA team that the villagers, who are predominantly Methodist, actually invited the team and Fr Liew to celebrate mass in their chapel. 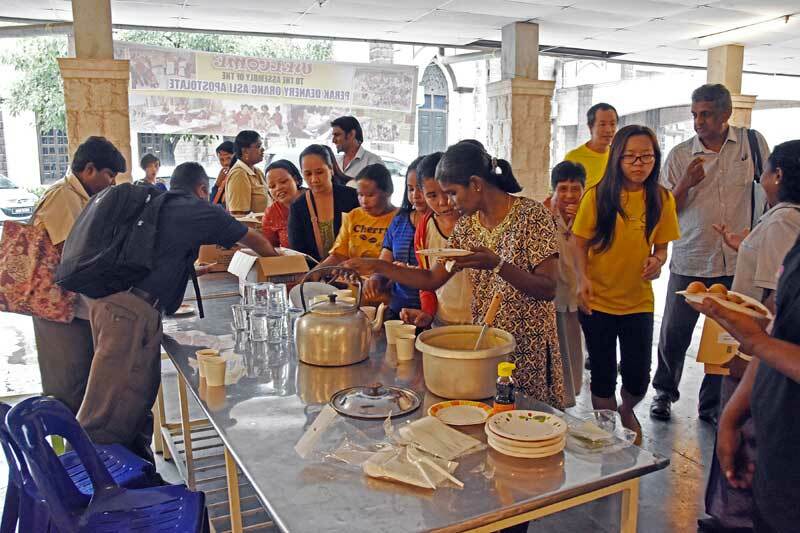 A kenduri was held after the school blessing, with an eclectic mix of bee hoon, fried rice, petai, young bamboo shoots, sardines, baked beans and eggs on the menu. 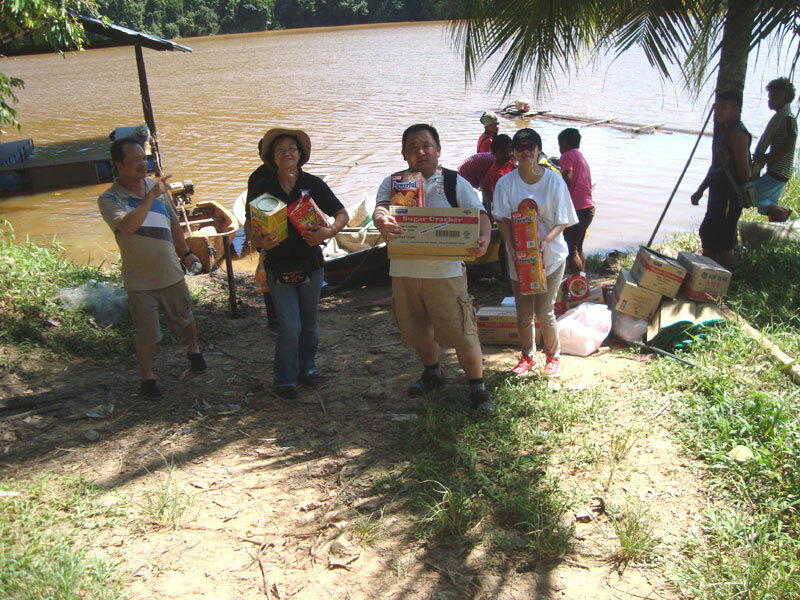 The SOA team also shared some mooncakes (from Ray of Hope,Ipoh) with the villagers. 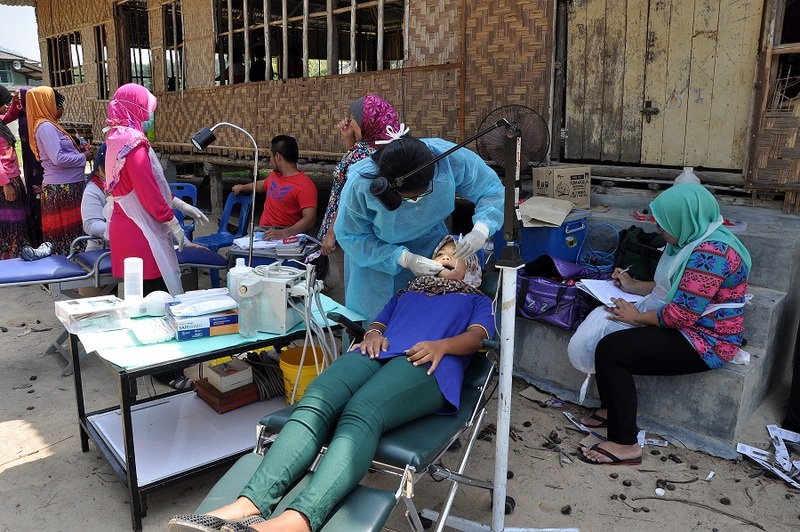 Our SOA medical team leader also conducted a mini medical check-up session for villagers after the kenduri. The team gave thanks to God, for the successful setting up of the school, good weather and wonderful fellowship shared between all parties. 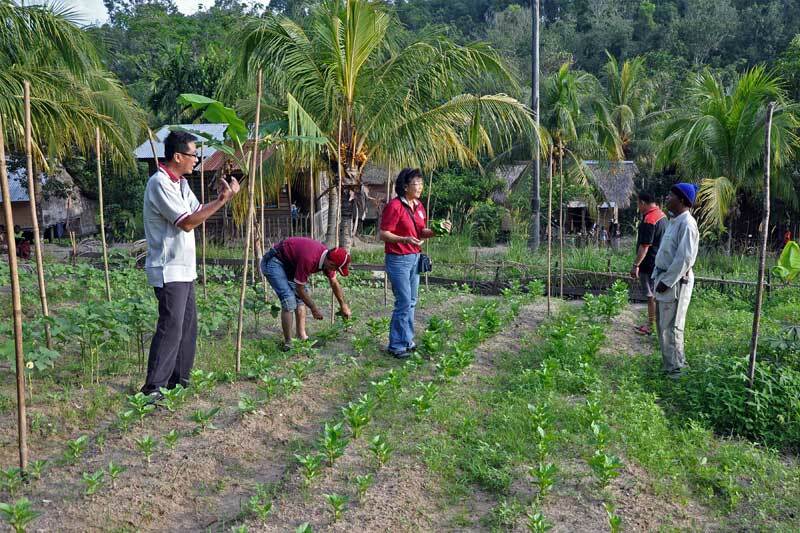 The SOA team were also particularly touched by the villagers' generous gift of fresh petai, a produce the villagers could very well have earned good income from. 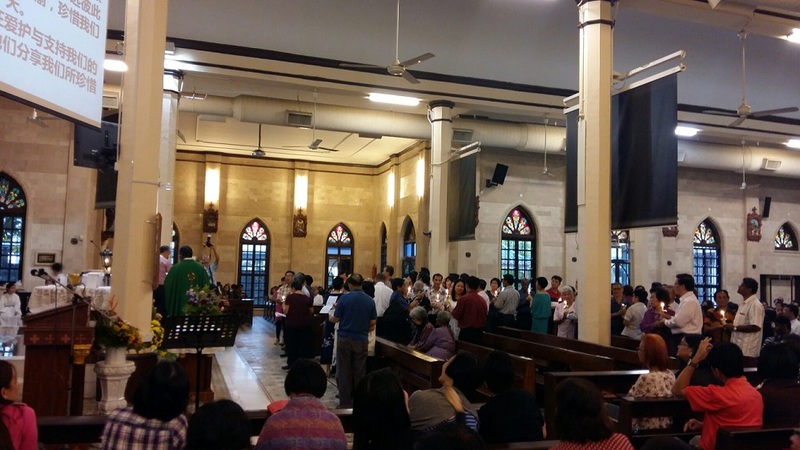 The parish celebrated the feast of St Pio during the sunset mass on 19th September 2015. Families submitted prayer petitions and thanksgiving notes to Padre Pio, and some letters were read out. 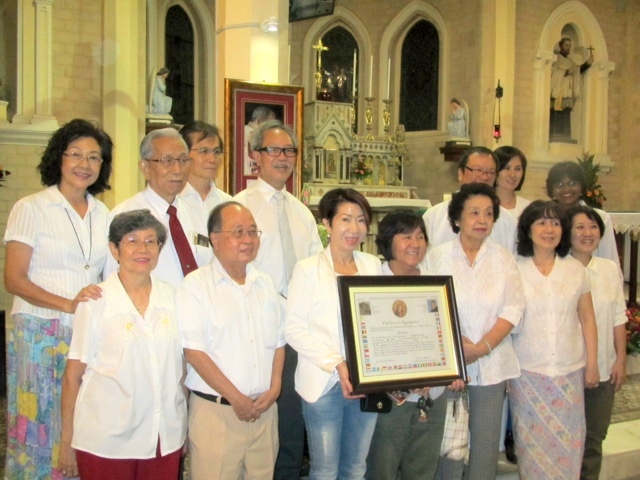 The Padre Pio Group of St Michael's church also celebrated their ten years anniversary during the mass and were invited to give a speech at the end of the mass. The group adjourned to Yum Yum restaurant for dinner after the mass. 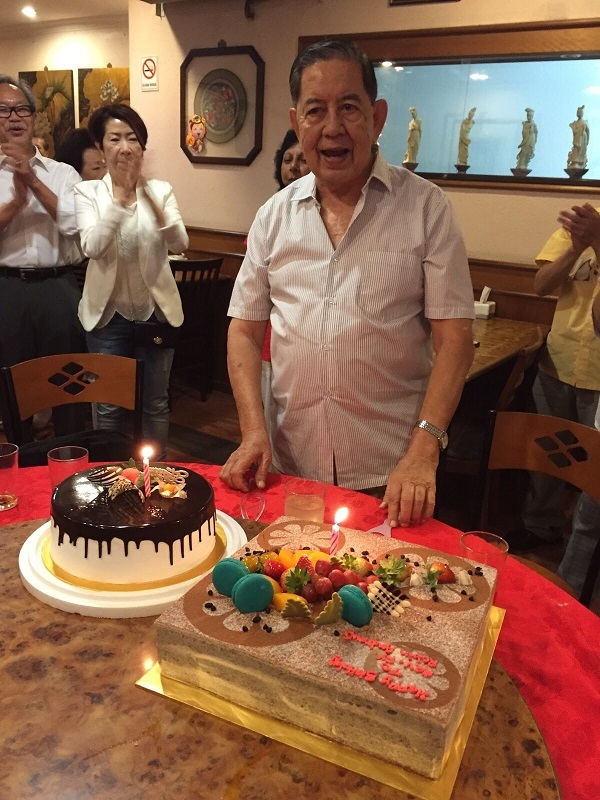 The group also celebrated our in-residence priest Fr Robin's birthday during the dinner. The parish celebrated a special mass for couples and welcomed couples from the Marriage Encounter group during the evening mass on 6th September 2015. 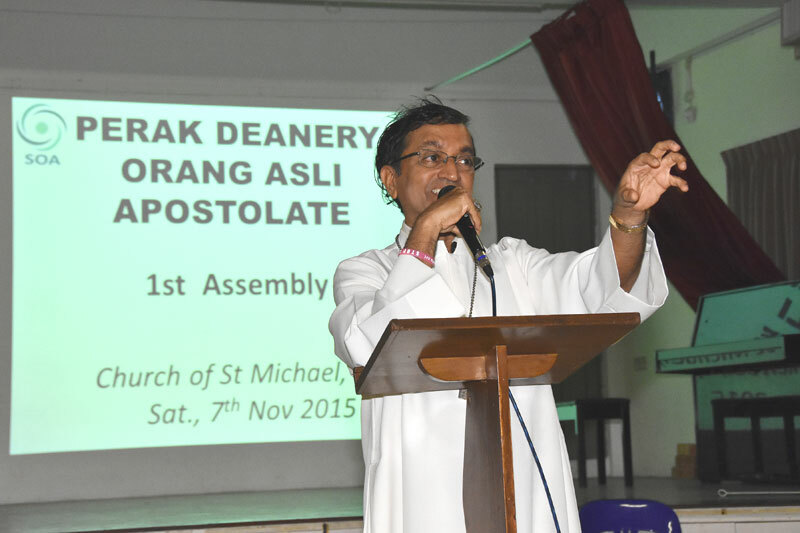 The lively mass was celebrated by Fr Gerard Theraviam. Married couples were also invited to light candles and renew their vows during the mass. A scrumptious dinner at Peter Pang hall was held after the mass for ME couples. 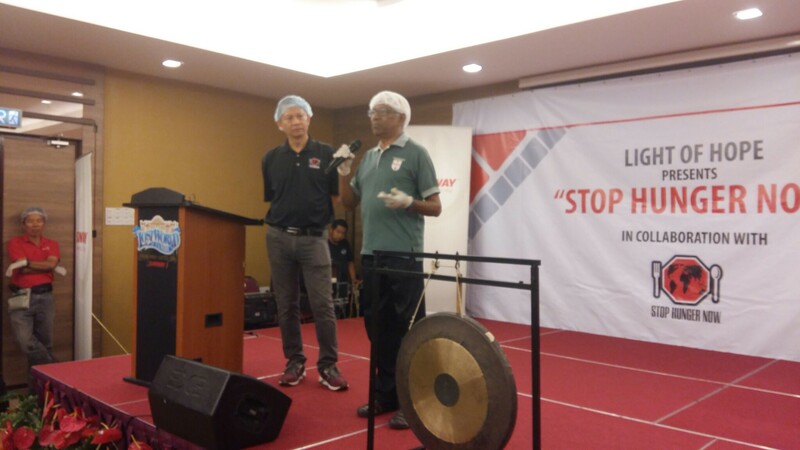 Our SOA committee members Mr Francis Fernandes, Mr Hubert Thong and Ms Stephanie Yeap were on hand at The Lost World hotel, to receive "Stop Hunger Now" fortified rice packs (which makes up to 25,000 meals) from Sunway Group on 20th August 2015. 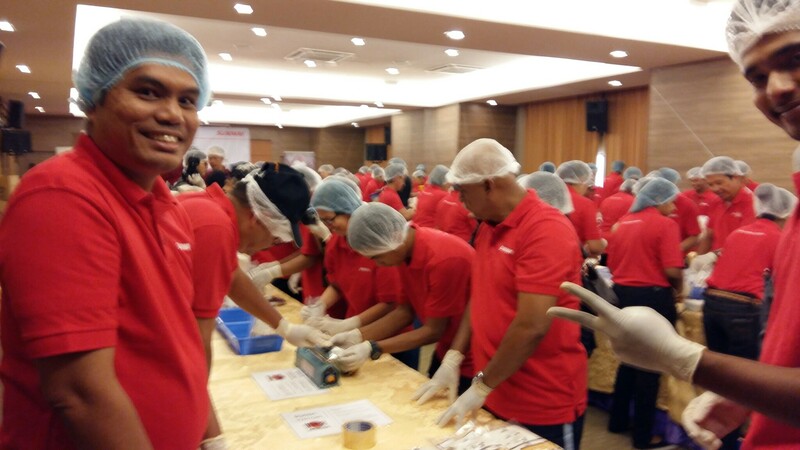 We thank the management and employees of Sunway Group for sponsoring and diligently packing the fortified rice packs and we also thank the 'Stop Hunger Now' relief agency for supplying the fortified rice. 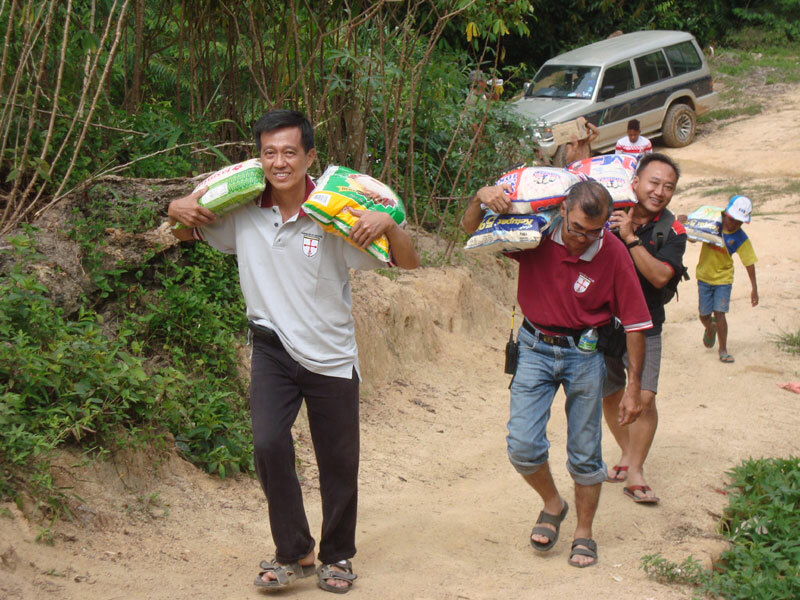 The rice packs were then transported by lorry to our parish for storage. 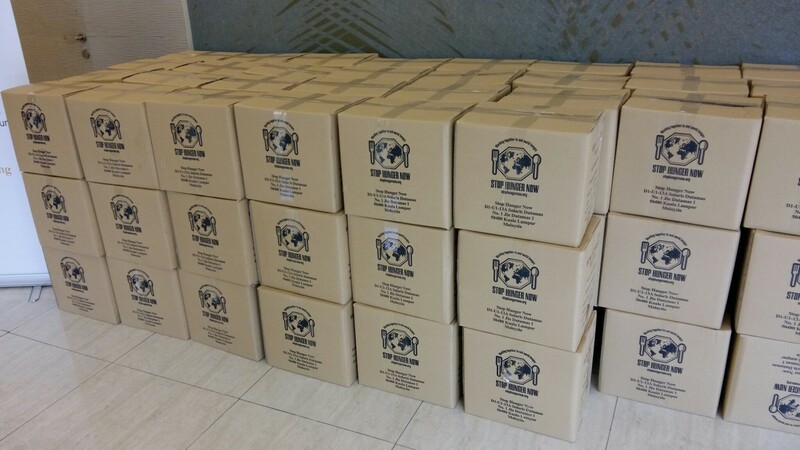 The rice packs will be distributed to the orang asli families who need it most. 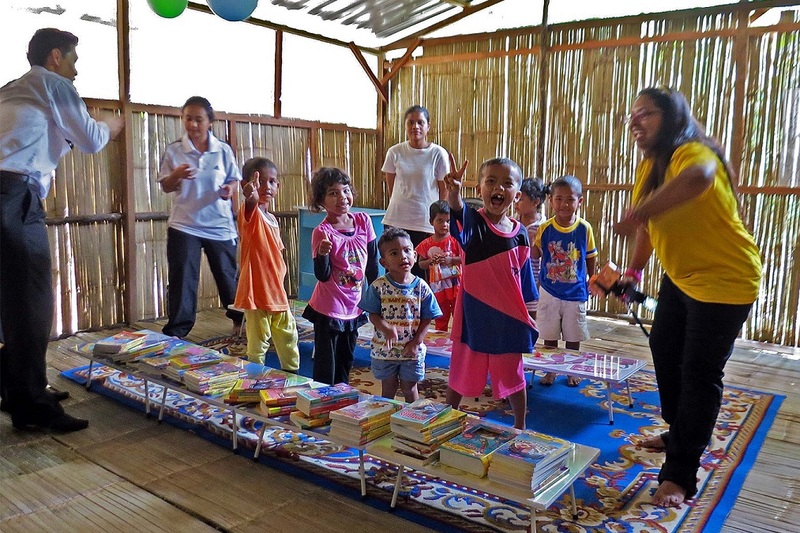 The two orang asli youth trained by the Good Shepherd sisters in Ipoh are presently still based at our parish until the completion of their pre-school teacher training course. 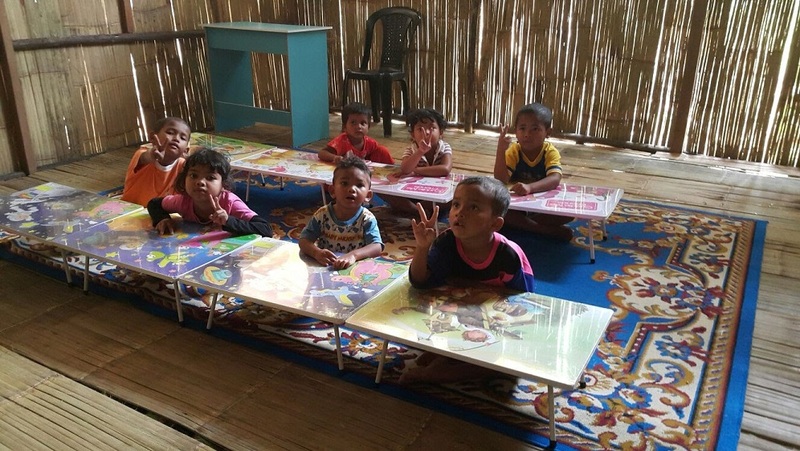 They will be teaching at the new village learning centre upon completion and it is hoped that this will help the orang asli children be better prepared for the national education system. 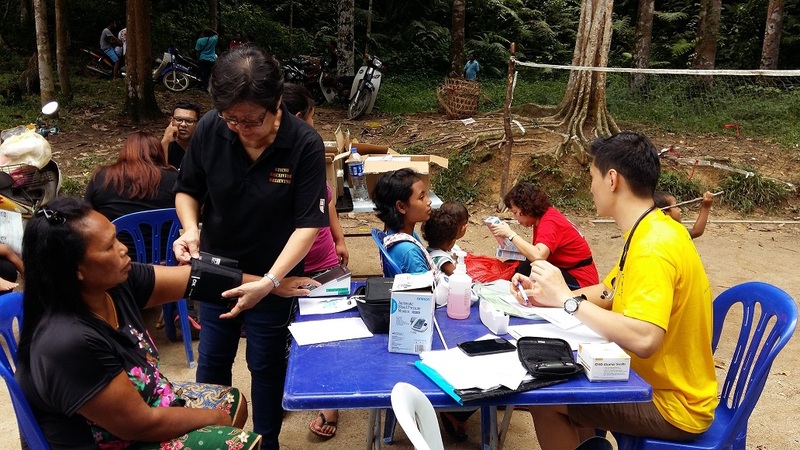 Our parish's SOA team, together with volunteers from Pejabat Kesihatan Pergigian Daerah Kuala Kangsar, MKA Jelapang and Hospital Fatimah,Ipoh participated in a medical and dental camp for the orang asli in Kg Air Bah Lawin on 27th June 2015. The parish thanks all volunteers for their selfless contributions towards this outreach project. Click on photos below for larger views. 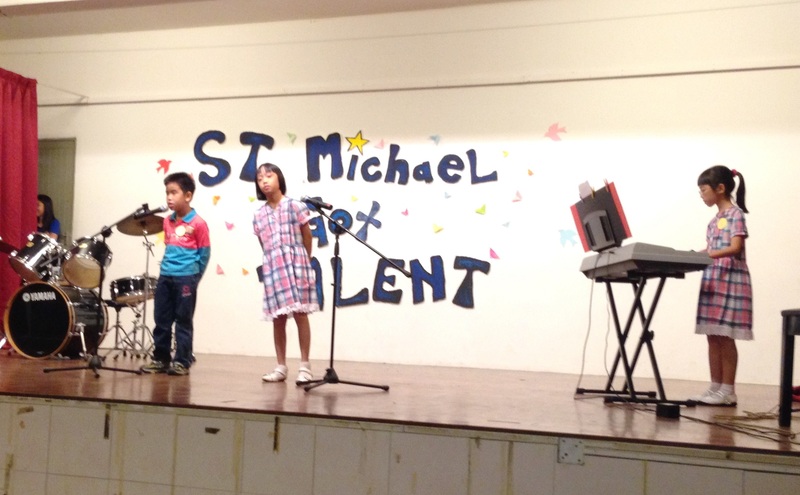 St Michael's church Chinese Youth Group organised a "St Michael Got Talent" competition on 26th April 2015, with the finals held on 24th May 2015. 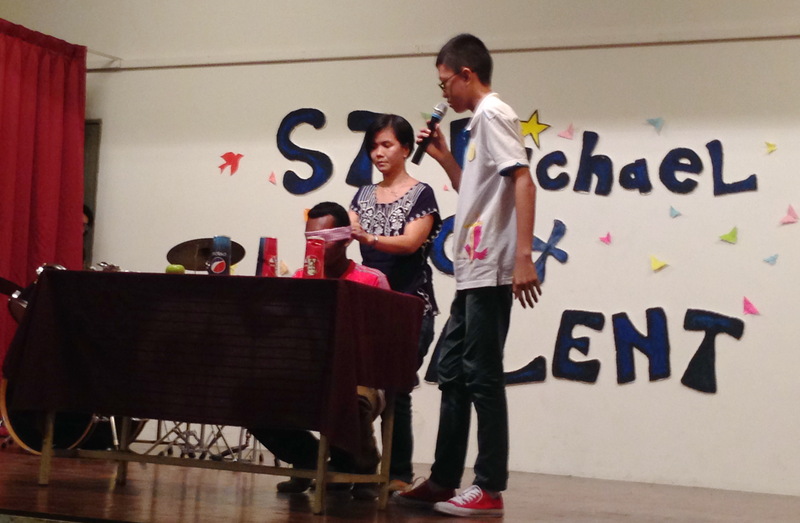 Participants were divided into two categories i.e. 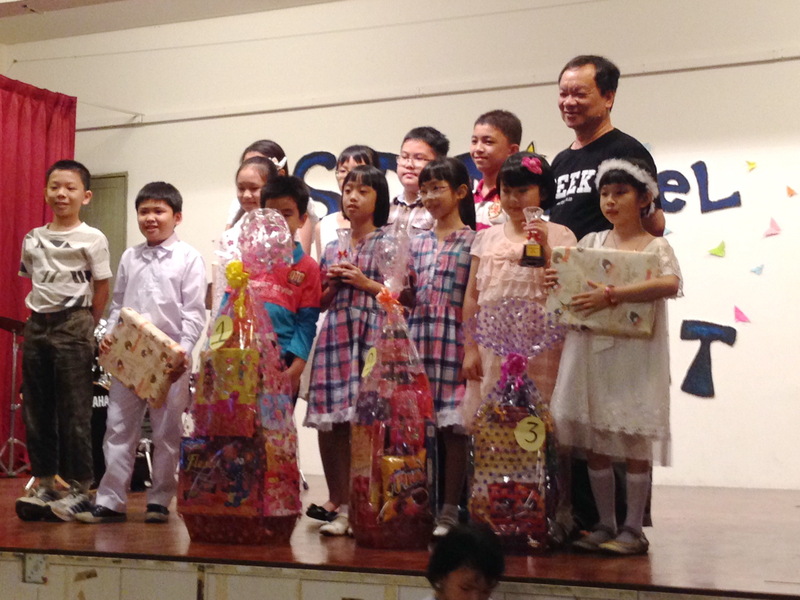 Primary students and Youth groups. St Michael's church was not short on talent as the youth showcased their many God-given gifts of singing, piano playing, drumming, flute-playing among other things. 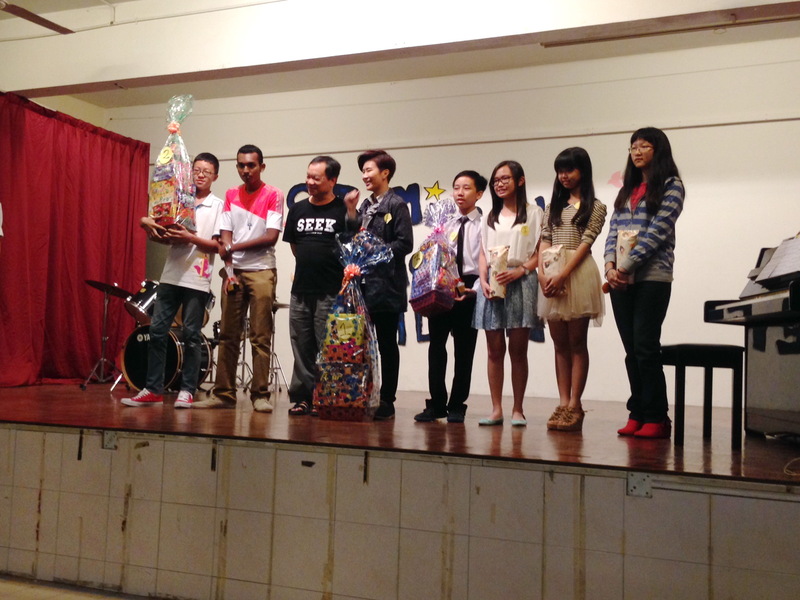 All participants received a present, while winners of each category also received a hamper and trophy. Congratulations to the all the winners,participants and organisers for putting on a great show! 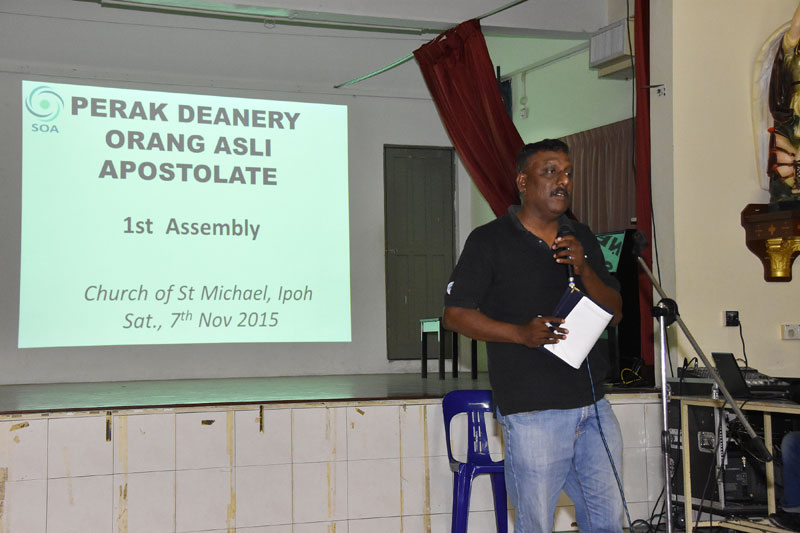 The SMC Orang Asli parish project has been adopted by Rt Rev Sebastian Francis, Bishop of Penang under the newly formed Perak Deanery Orang Asli Apostolate. 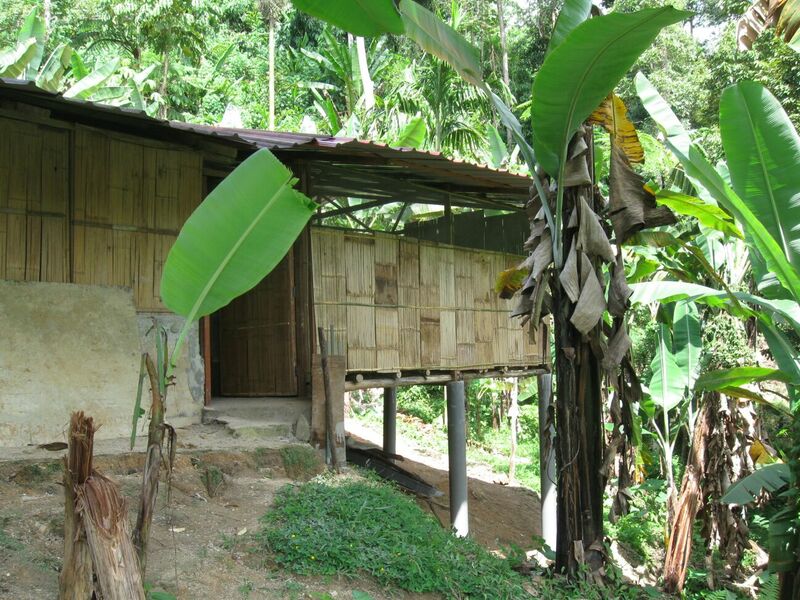 The project will henceforth be known by the moniker "Sahabat Orang Asli" (SOA). The official logo is as detailed in the picture above. 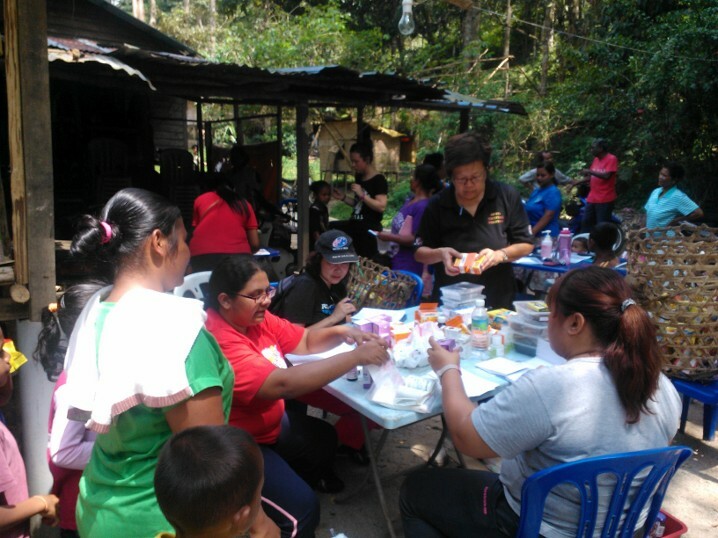 The project team and volunteers spent their Labour day holiday visiting the villagers of Kampung Karah in Lenggong and Kampung Sekam in Tapah. Details of work done throughout May are listed below. - delivered portable solar lights (Little Sun) for villagers. 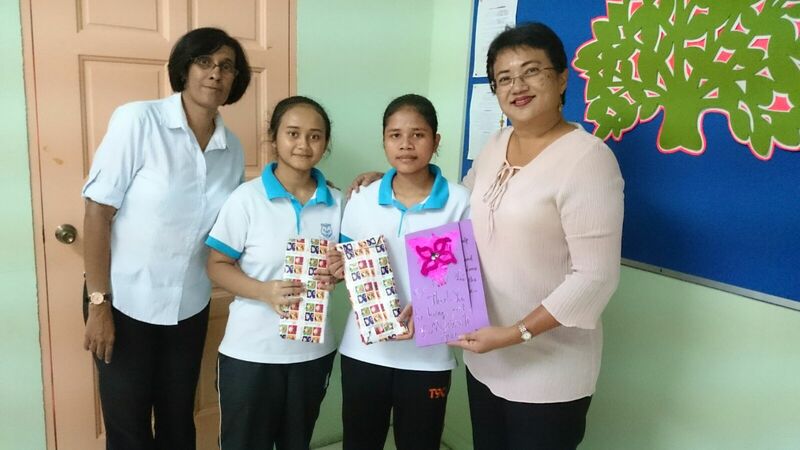 - hosted 2 orang asli girls (from Kg Sekam) in Ipoh for pre-school teachers' training at Mariaville Kindergarten. The Good Shepherd Sisters have generously provided free education to train these girls in pre-school teaching. The girls will subsequently return to the village to teach the children of Kg Sekam in the new school which is currently under construction. It is hoped that this program will help the orang asli children be better prepared for entry into the national primary school system. 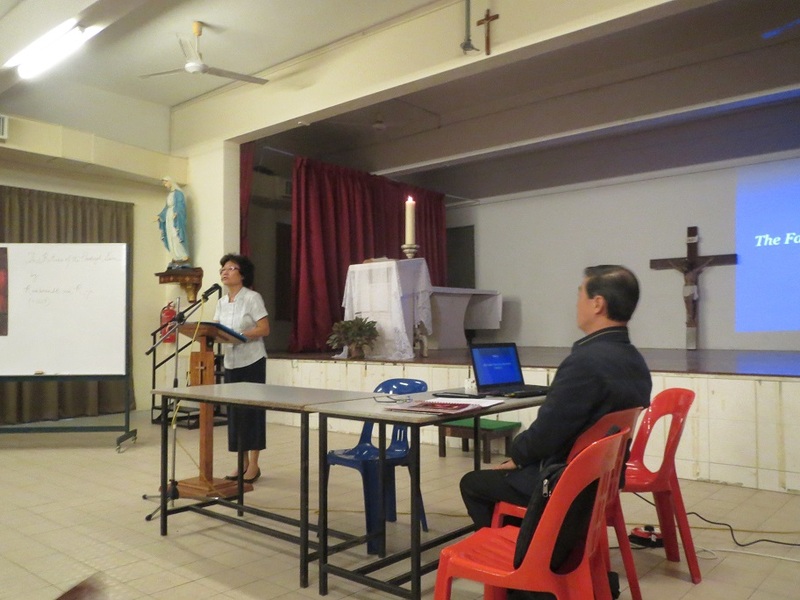 The total amount collected from our parish for this year's Penang diocesan lenten campaign was RM28,120.00. 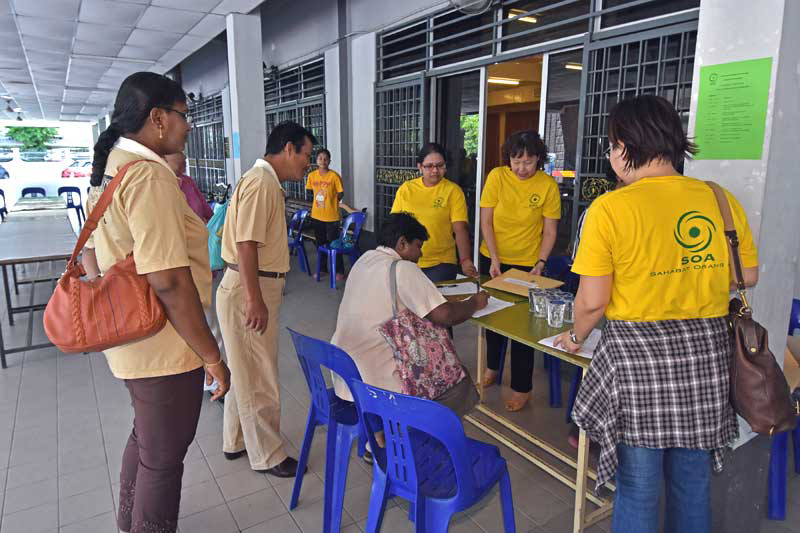 The mission team would like to thank all the volunteer doctors, nurses and staff from Hospital Raja Permaisuri Tuanku Bainun and Hospital Fatimah for their dedication and hard work in spearheading this medical camp. 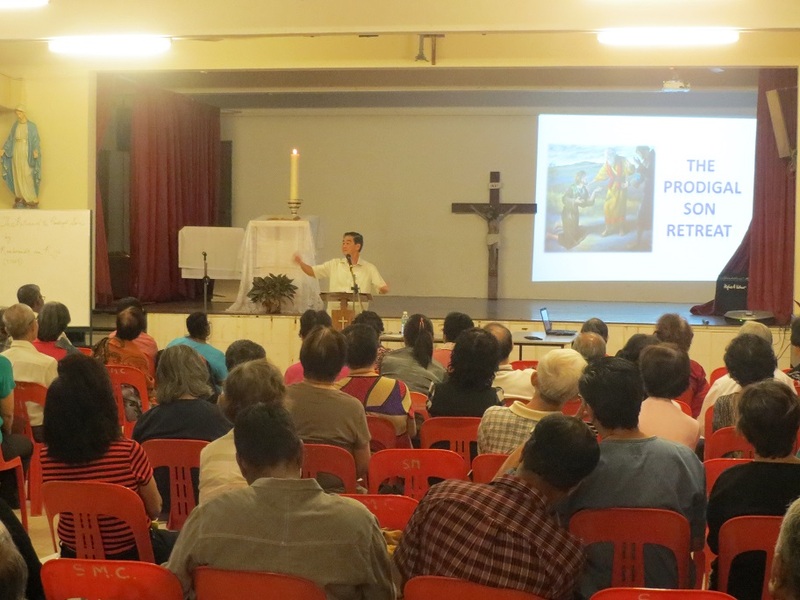 The retreat began on both days with a mass at 7a.m. This was followed by a briefing of the programme for the day. The sessions on the subject matter were dealt with in a systematic manner starting with a session by Dr Jeffrey Goh on the younger son (i.e. 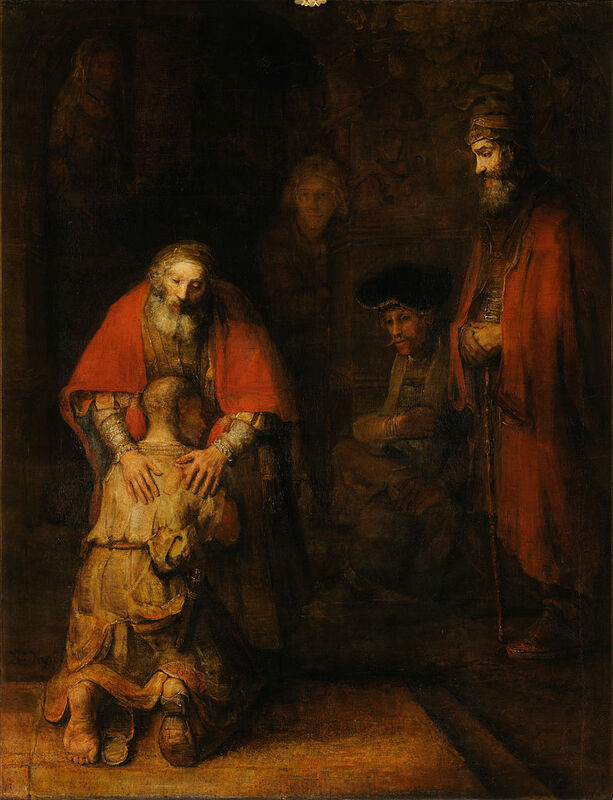 the prodigal son), followed by a session on the elder brother by Fr Stephen Liew in the afternoon. The evening ended with Holy hour, hearing of confessions and Benediction. 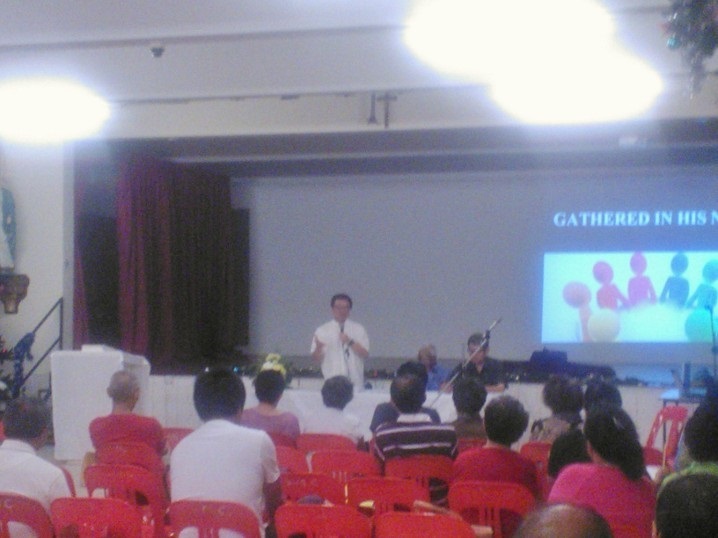 The second day saw the continuation of a final session on the Father by both Dr Jeffrey Goh and Mrs Angie Goh. The retreat ended with veneration of the Cross and a service celebrating the Cross and Resurrection. The retreat was an enjoyable,educational and spiritually enriching experience for all. 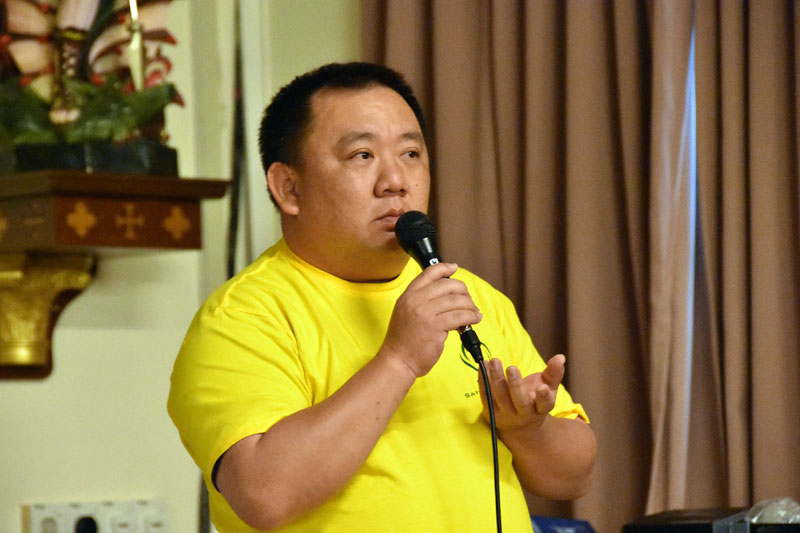 The parish thanks the organisers, i,e, the Padre Pio Group, and Dr Jeffrey Goh and Angie Goh for all their hard work and dedication in organising and conducting this retreat. The Indian group of St Michael's church hosted a Ponggal celebration at Peter Pang hall after the Sunday morning mass on 25th Jan 2015. Parishioners were treated to sticky rice and coffee and demonstrations of traditional Indian cookie making. The parish mission team were joined by two groups of NGO volunteers on the morning of 11th Jan 2015, to deliver food,clothing and medicines to flood struck areas in Gerik. 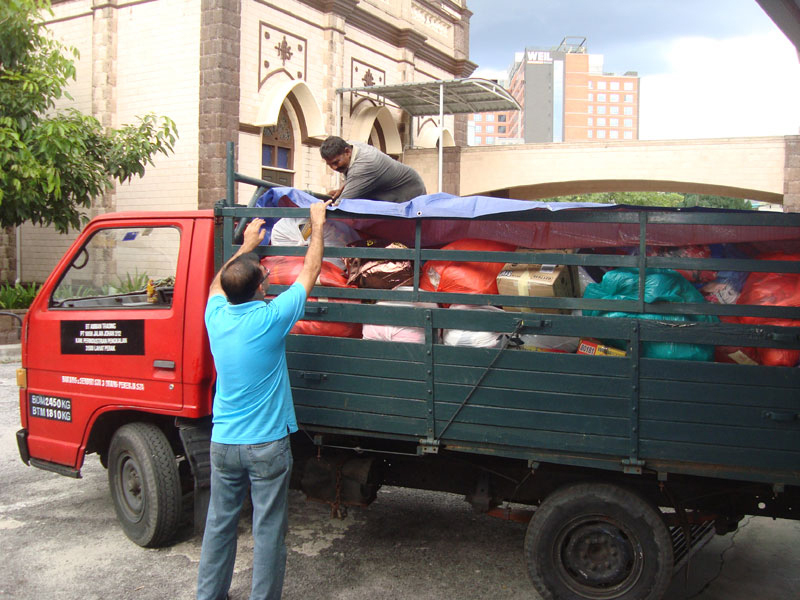 We thank Soroptomist International Penang and 'Live to Love' organisation for their generous lorry loads of food and medication towards the flood relief efforts. 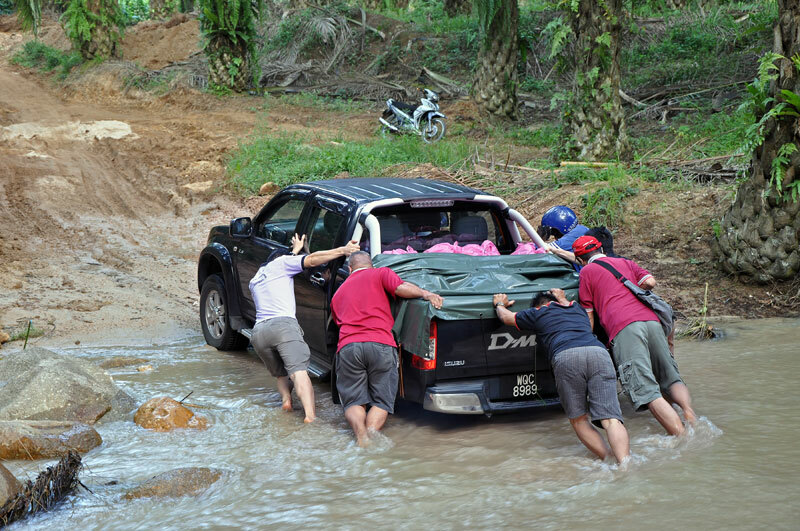 On 4th January 2015, the SMC orang asli mission team doubling up as the parish's flood relief team managed to go into Gerik to deliver clothing,blankets and food rations to the orang asli community and also other flood affected villagers in Gerik,Perak. 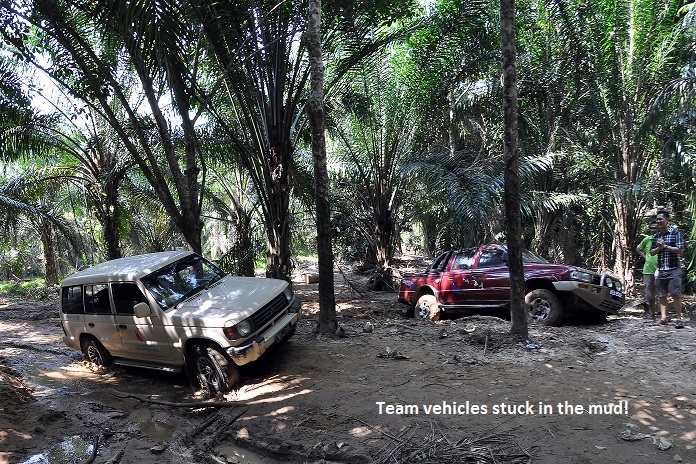 The situation is reportedly quite dire with thousands affected in the area. 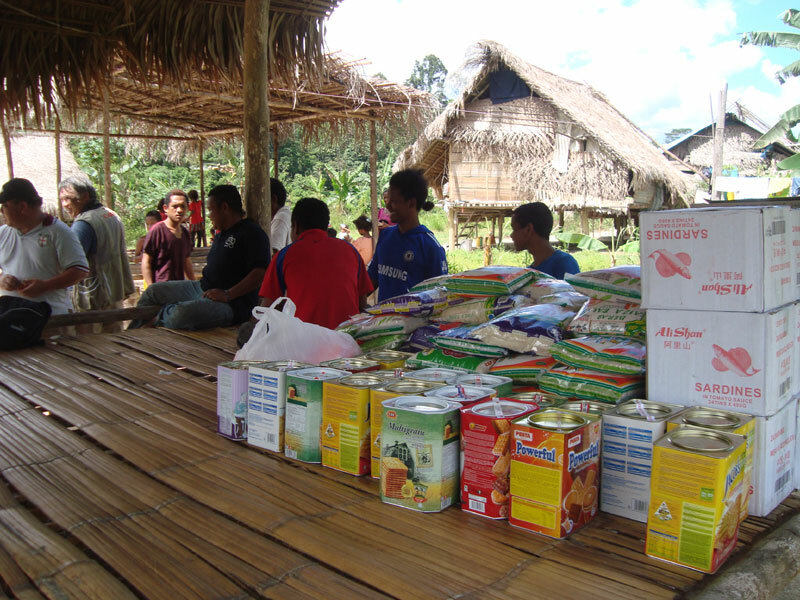 The team delivered food,clothing and blankets to Kg Gajah, Kg Air Bah Lawin, Kg Sg Karah and Kg Sg Lawin Selatan. 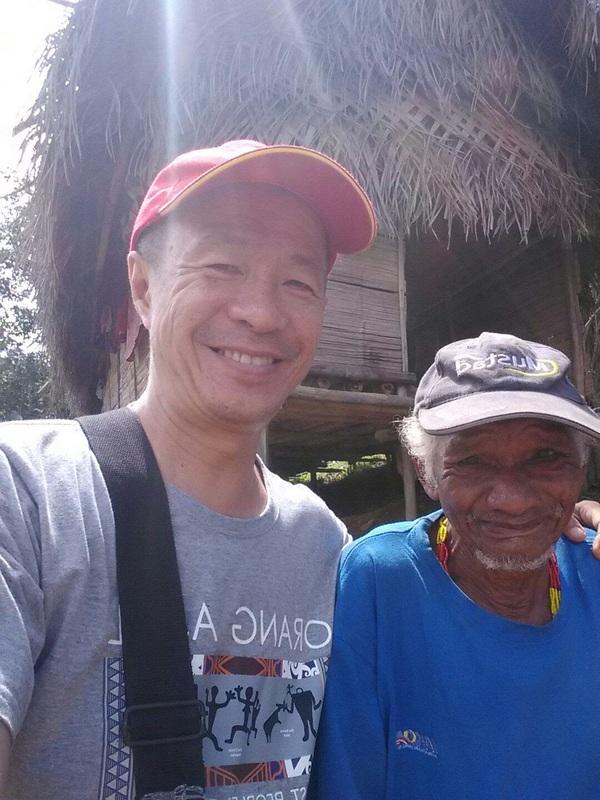 The orang asli community in Gerik are some of the most neglected and poorest in Perak and were already suffering severe malnutrition and loss of livelihood before the floods. 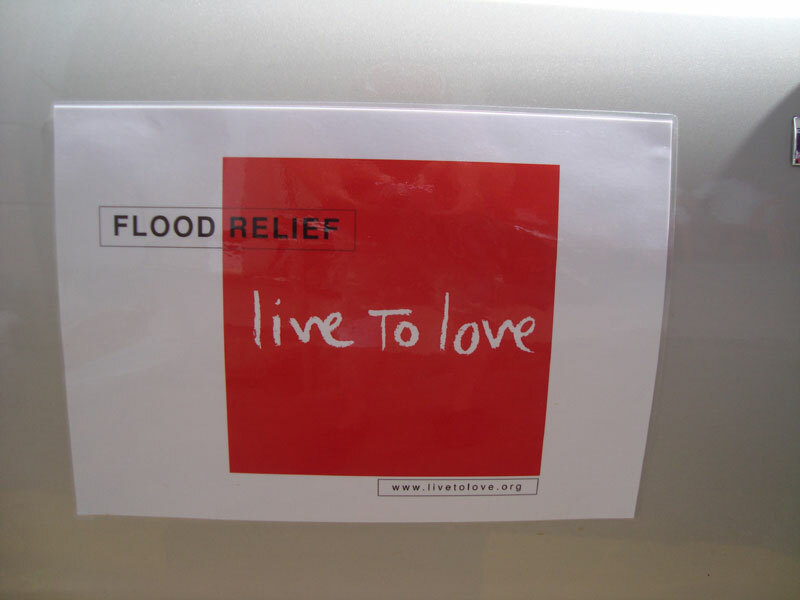 Donations of rice (5kg packs), biscuits and clothing were very much appreciated. 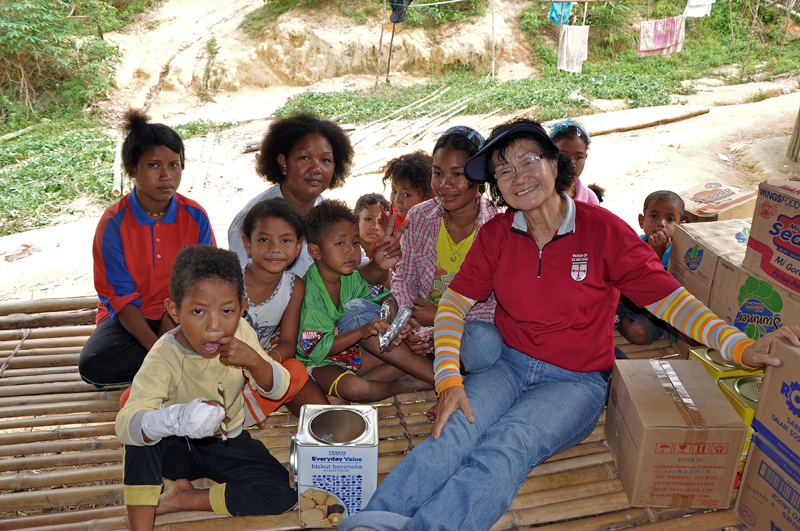 The team also request for donations of clean plastic containers and clean biscuit tins for storage purposes in orang asli villages. 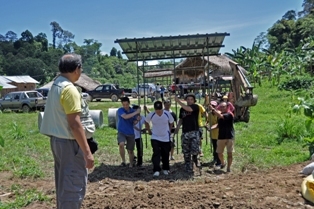 The team also checked up on the farming project initiated earlier at Kg Air Bah Lawin and were happy to note that the vegetables were beginning to grow. 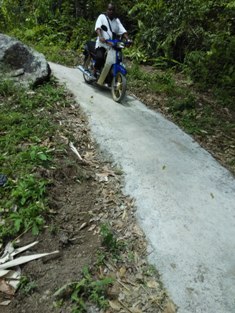 The crops were planted higher up on the hill side and thus, unaffected by the floods. Click on photos below for larger views. 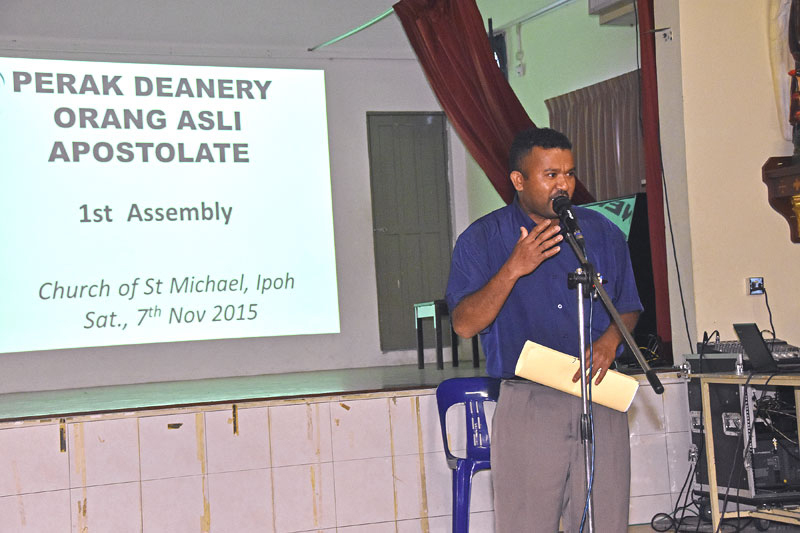 St Michael's church parish assembly was held in the afternoon of 4th Jan 2015. The theme for 2015 was "Transforming Self,Family and Society". The session started with praise and worship songs being led by St Theresa choir. 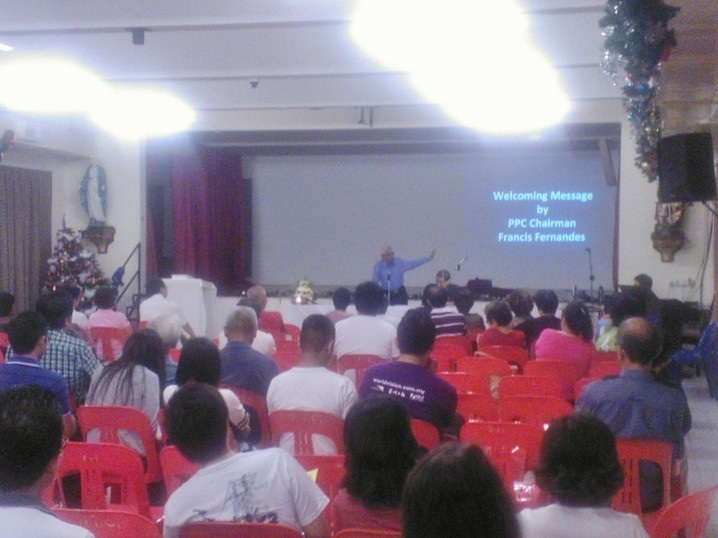 PPC Chairman Francis Fernandes gave a warm welcome to the hundred odd parishioners present. He gave a brief summary of what was achieved in the past year especially with regards to the parish orang asli project, which was adopted at the last assembly. 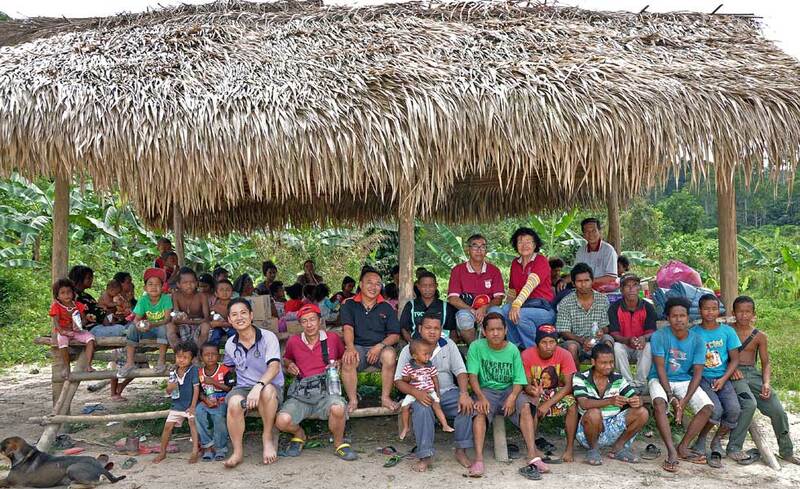 The orang asli project has been blessed by many supporters,volunteers and sponsors. 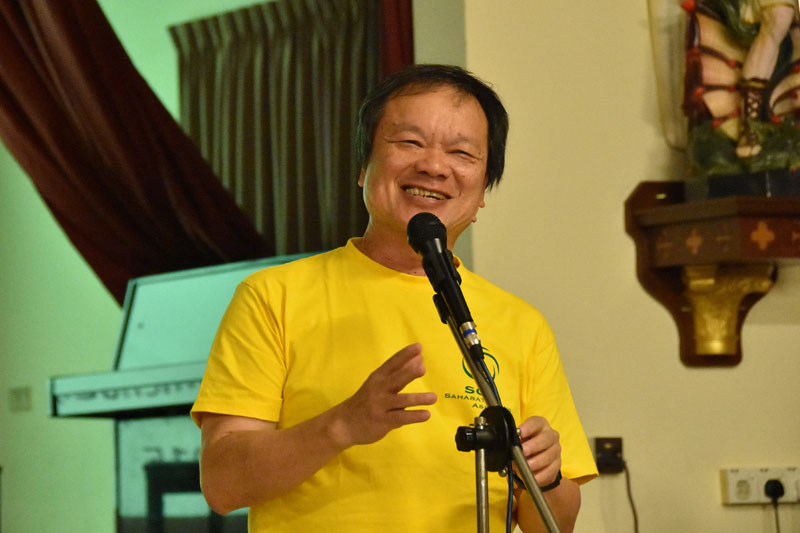 The parish particularly thanks Mr Hubert Thong for his tireless efforts in spearheading the mission team and Dr Albert Yong for his invaluable help on the medical side. Mr Fernandes also highlighted the generous donations given by Sunway Group, Fatimah Hospital and the Paediatrics Department of Hospital Raja Permaisuri Tuanku Bainun, Ipoh towards our parish orang asli mission. 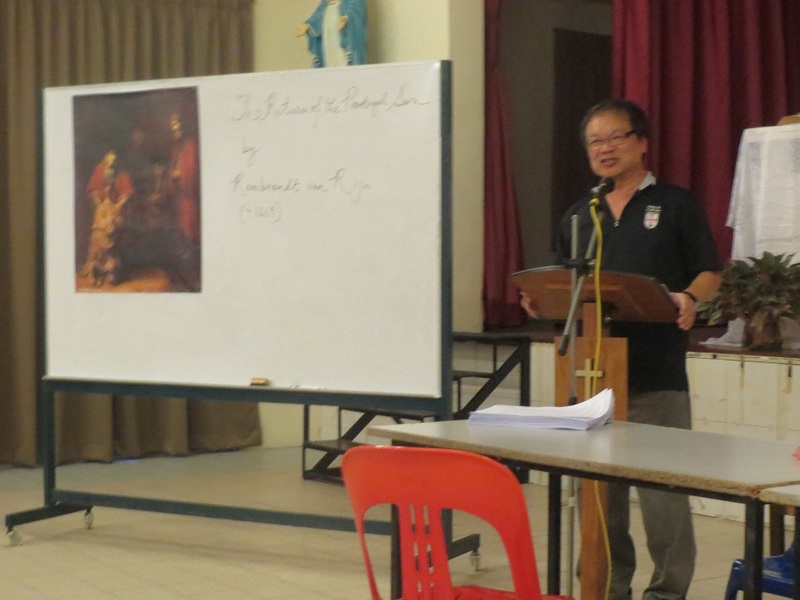 Fr Liew subsequently took over the session to propose the parish mission for 2015. 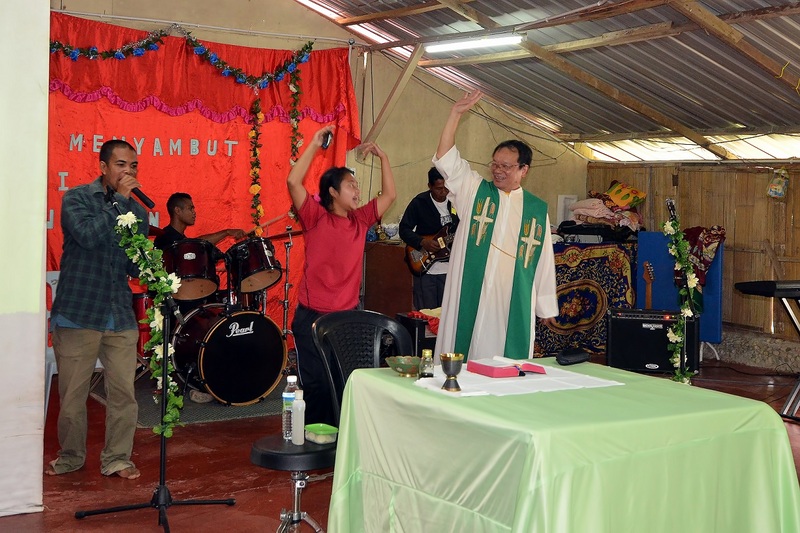 He noted however that the parish's orang asli mission is an ongoing effort and has even garnered the support of Bishop Sebastian. 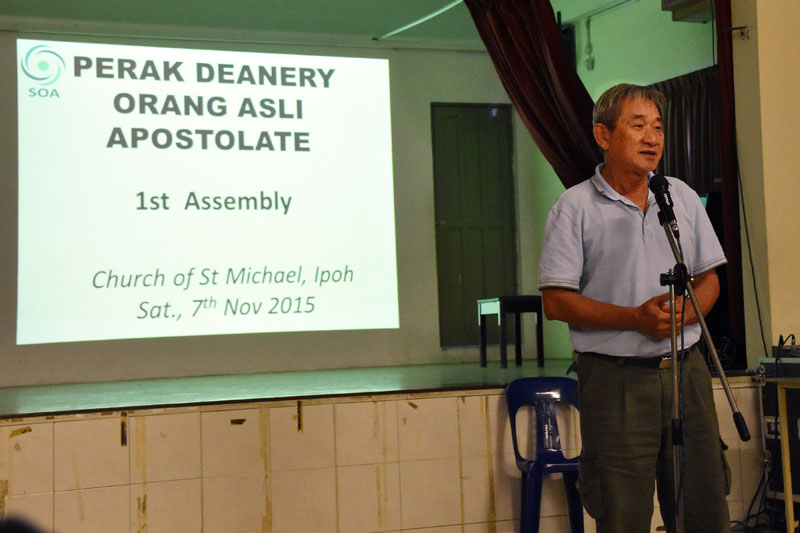 The Penang diocese is in the process of turning our St Michael's orang asli mission into a diocesan Orang Asli Apostolate. The plan for our parish in 2015 was "Discipleship towards the transforming of humanity". The plan will be implemented in three stages: from the level of "Self"(month of January to April) ; to level of "the Family" (May to August) and finally to "Society" (September to December). 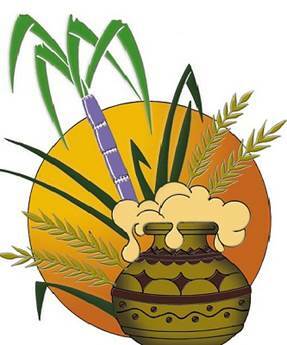 In line wth stage one, for the transformation of "Self", there will be a "Prodigal Son Retreat" on 31st Jan to 1st Feb 2015 for the English-speaking parishioners. There will be a "Little Rock" program for Chinese-speaking parishioners under this stage one as well. In the months of May to August, to transform the "Family", parishioners are encouraged to say the rosary together as a family, have at least one family prayer per month and at least one uninterrupted family meal together. 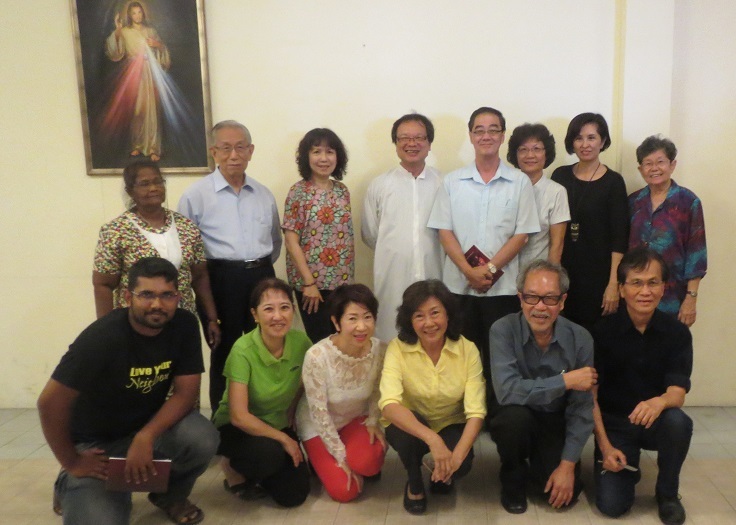 For the months of September to December, Fr Liew hopes to form a Parish Formation Team who will be in charge of seeing to the spiritual and social growth of the parish. The proposed team will be tasked with sourcing for and bringing in speakers and formators for specific issues and topics relevant to the parish's goals. 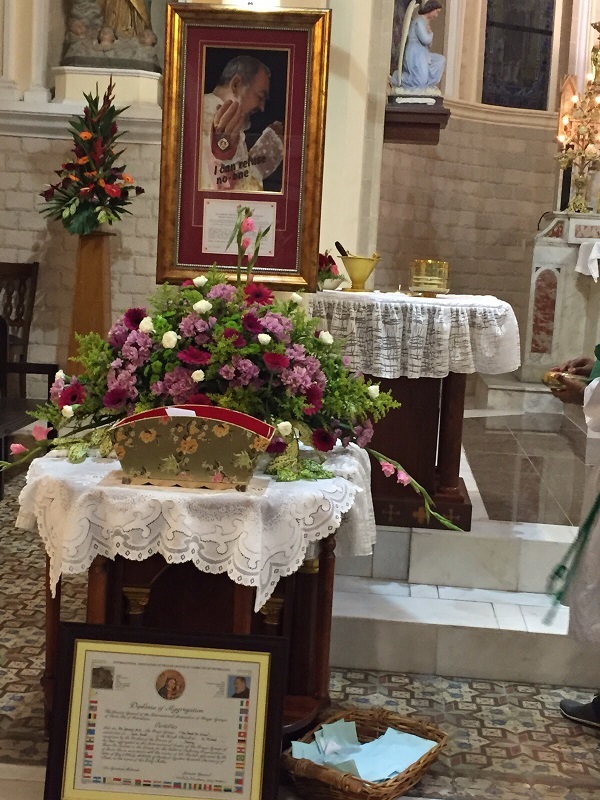 A first class relic (meaning a relic derived from a physical part of a saint) of Padre Pio was installed in St Michael's church on the morning of 1st January 2015, during the mass celebrating the Solemnity of Mary, Mother of God. The relic comprises the blood of St Pio on a part of his mitten. 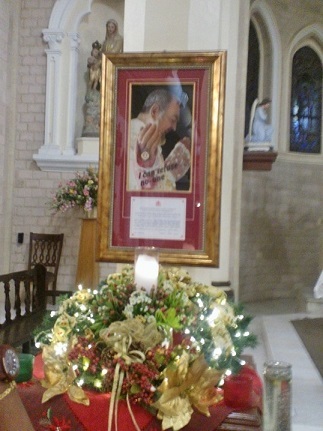 The relic has been installed at the front left pillar of the church, right before the altar. All are welcome to venerate this holy relic especially during the Padre Pio novenas held at 5.00p.m. every Thursday in our parish. © 2015 Church of St. Michael,Ipoh. All rights reserved.